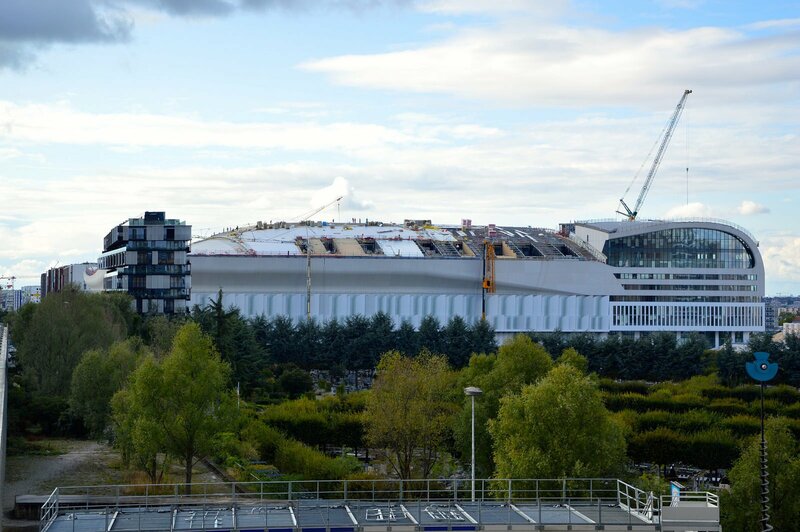 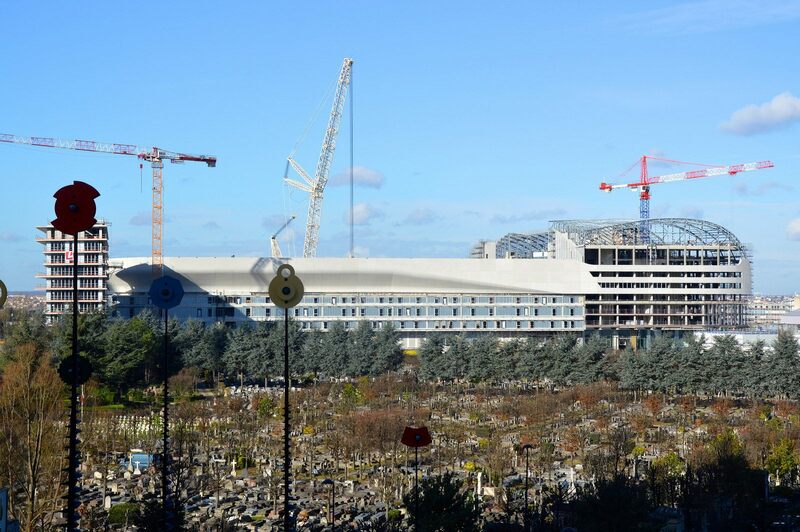 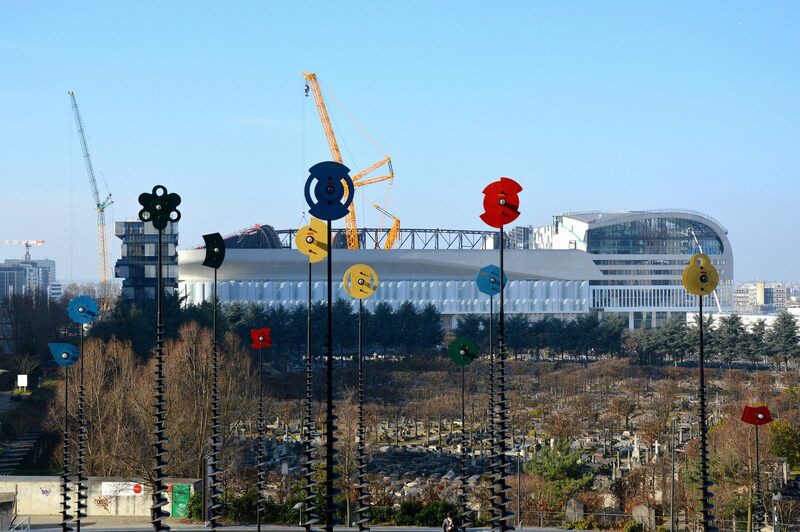 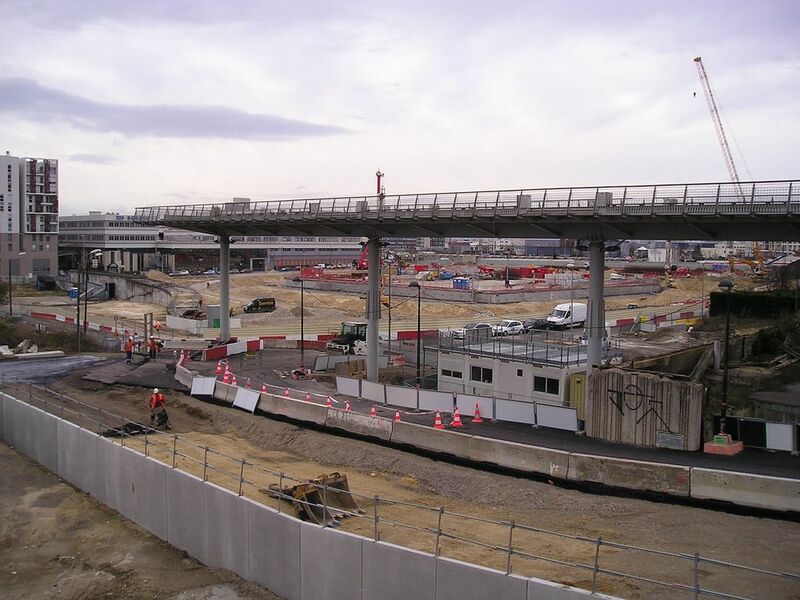 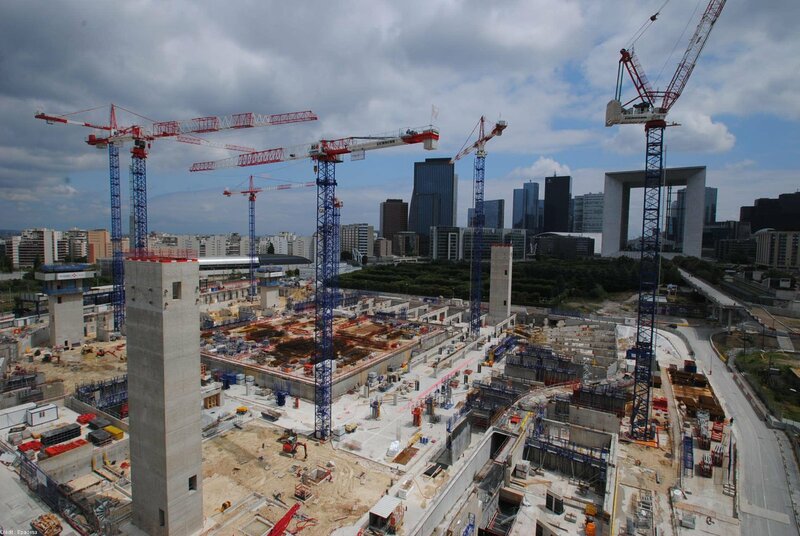 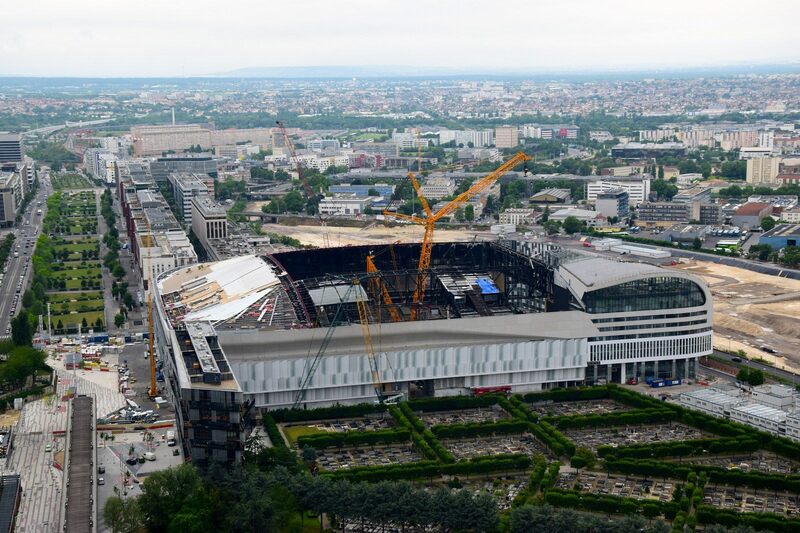 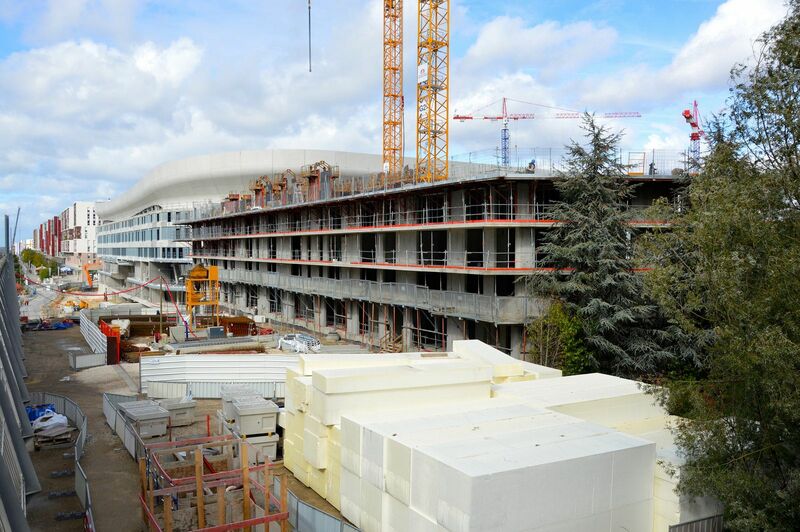 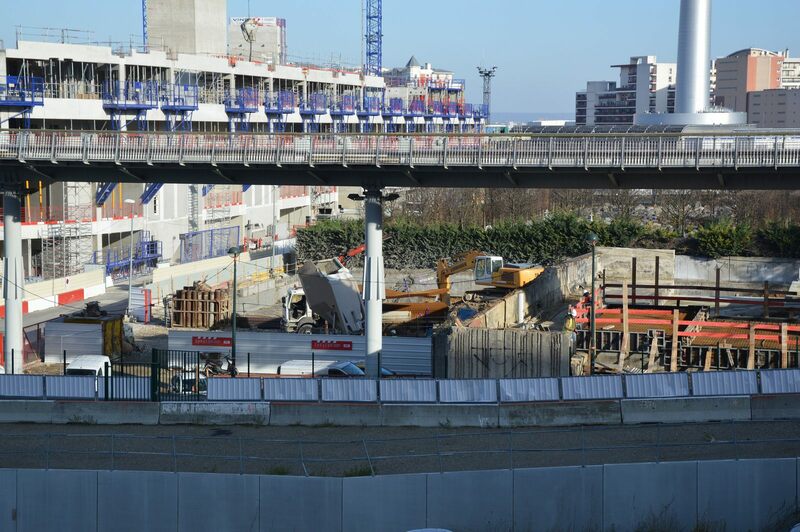 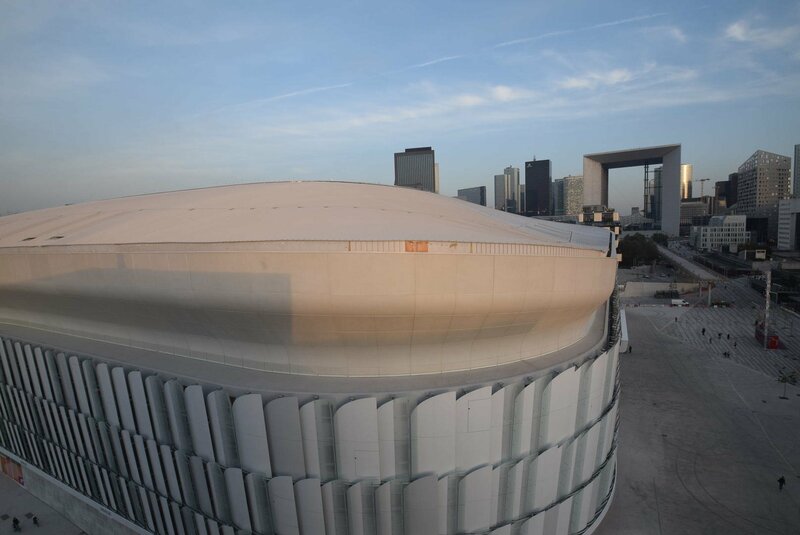 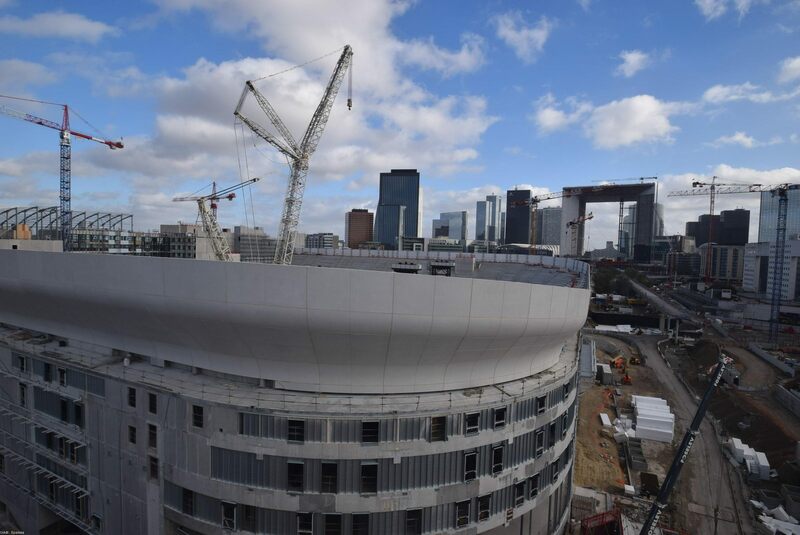 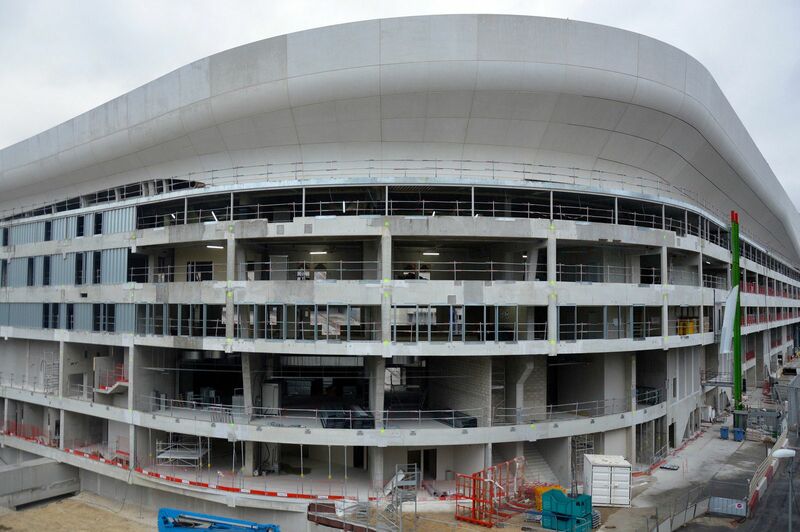 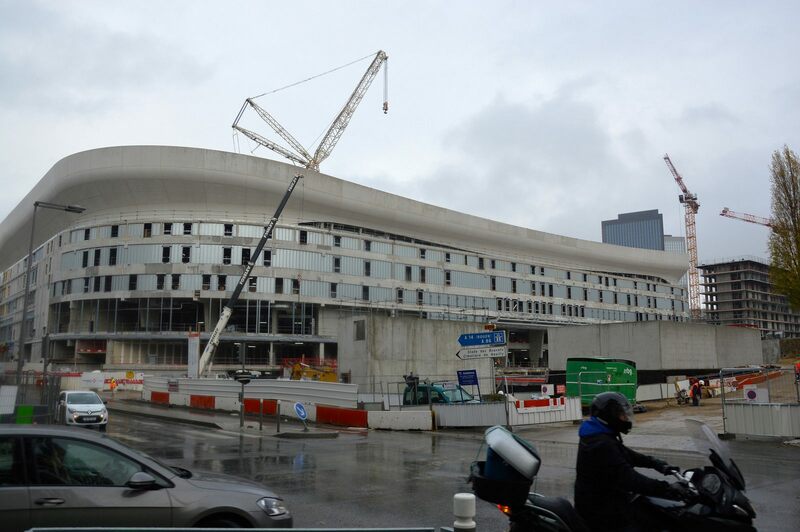 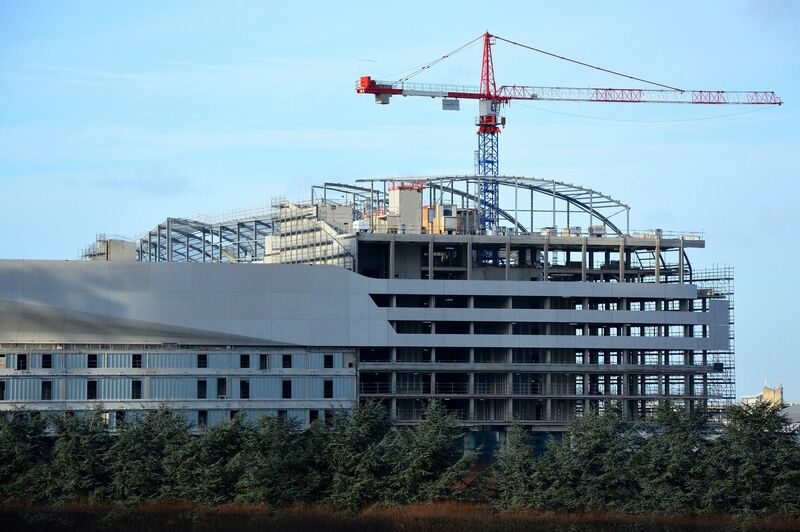 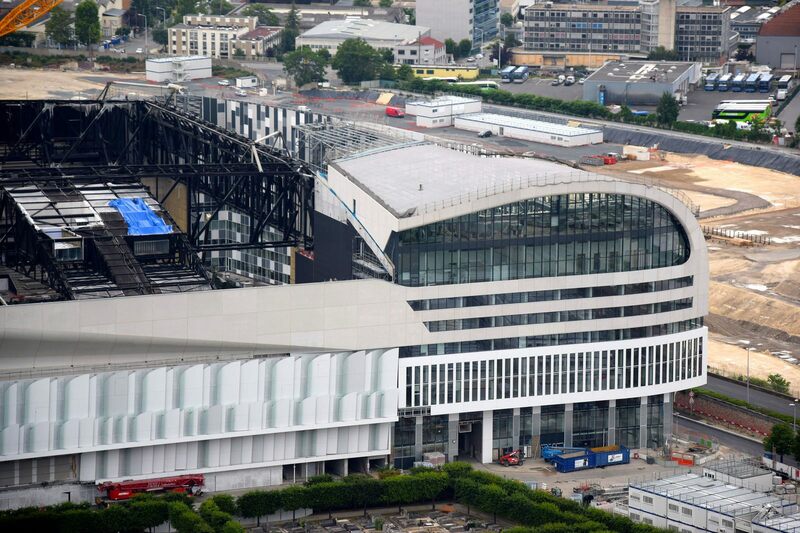 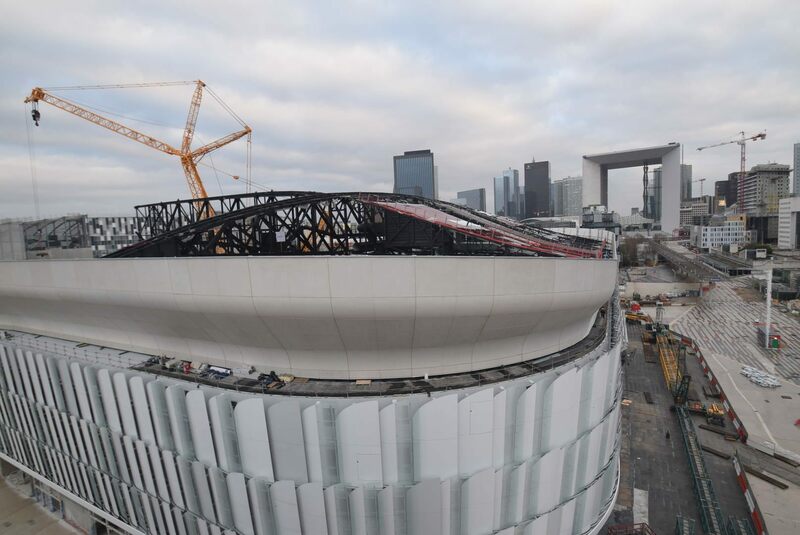 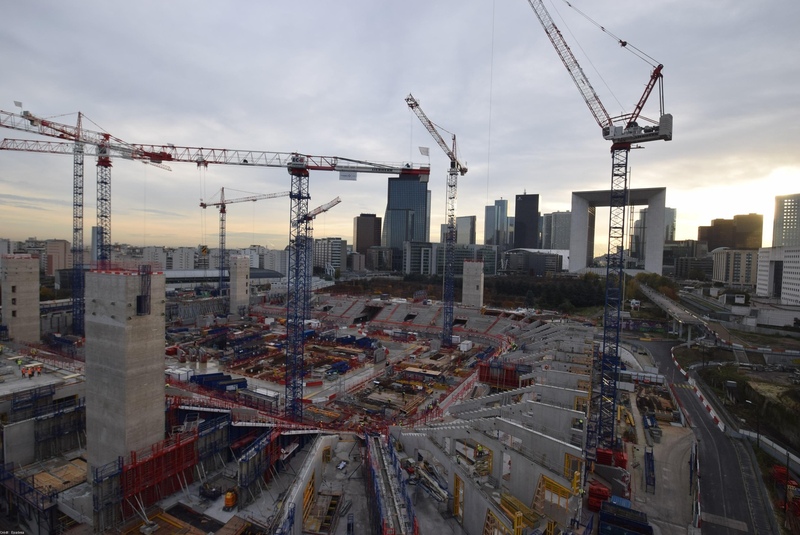 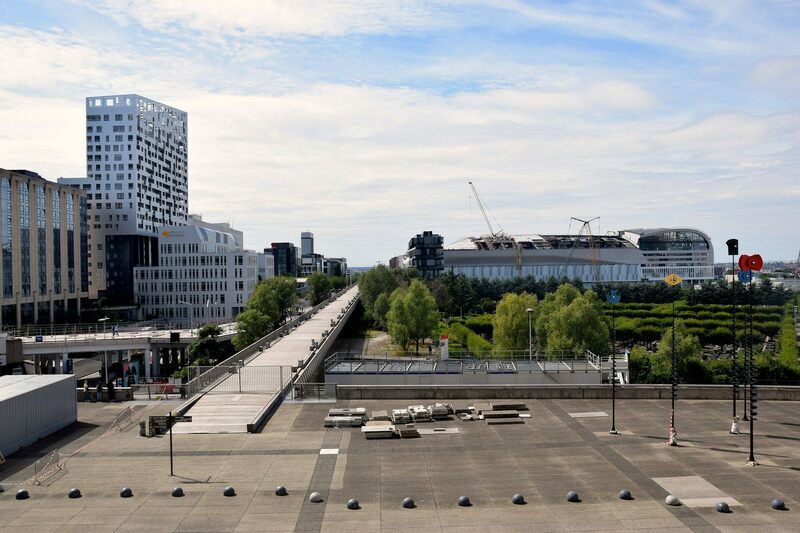 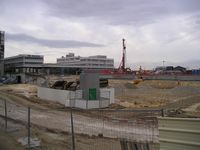 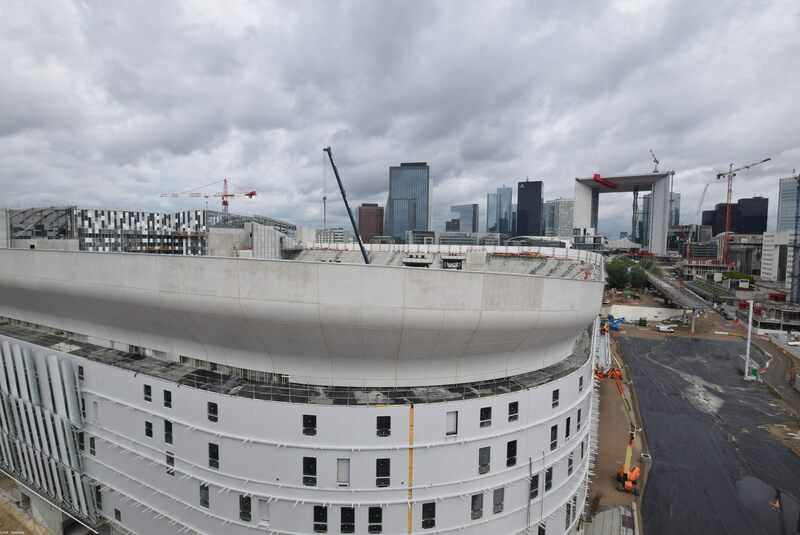 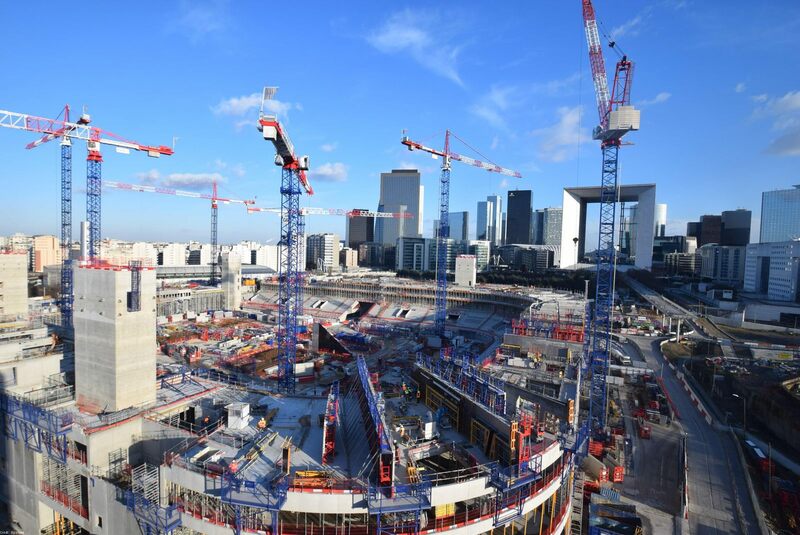 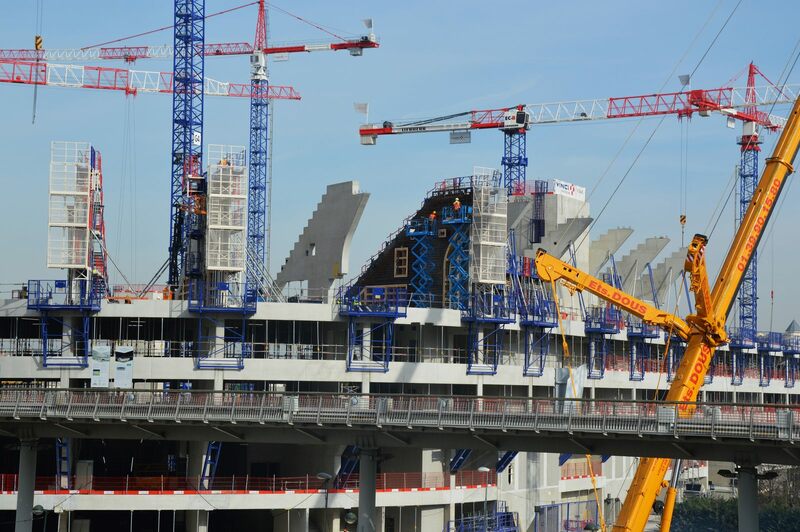 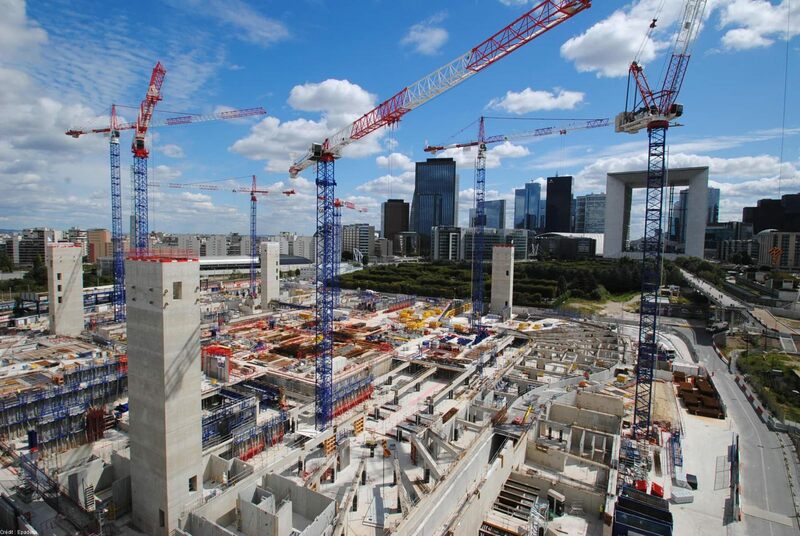 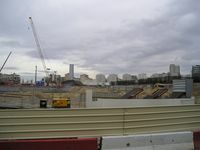 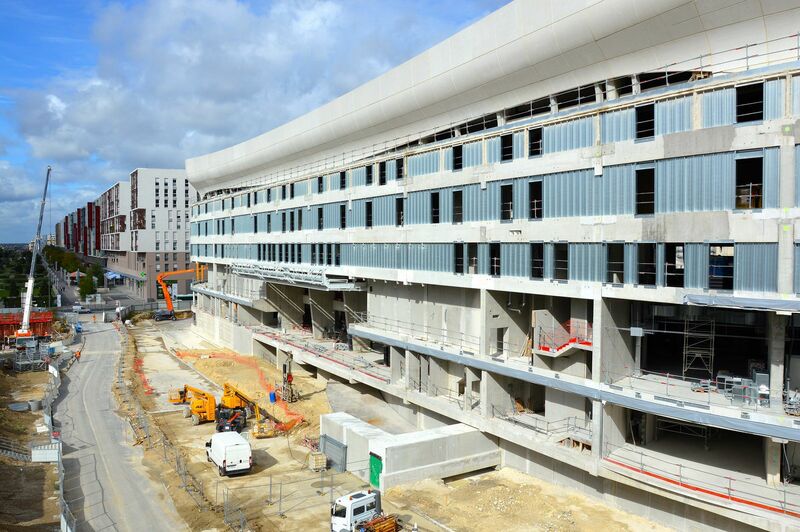 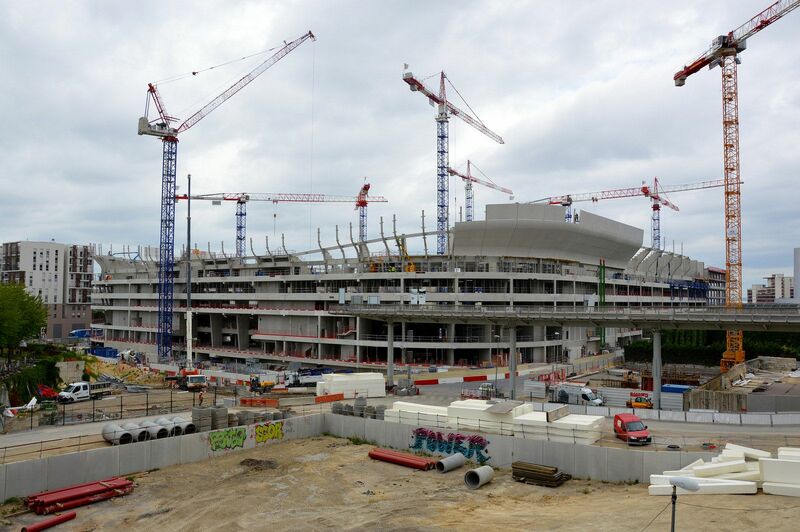 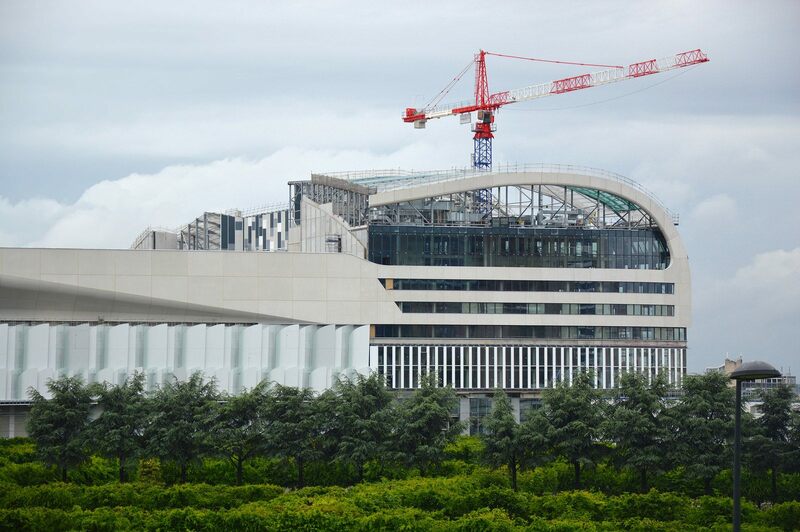 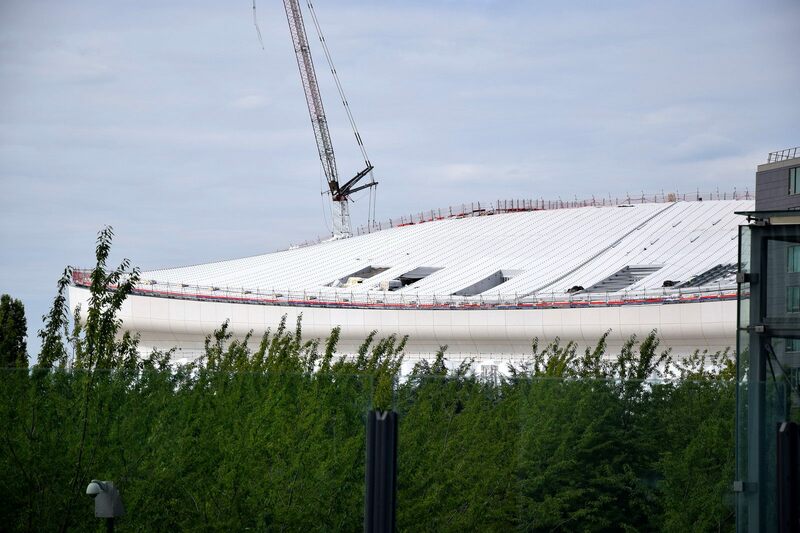 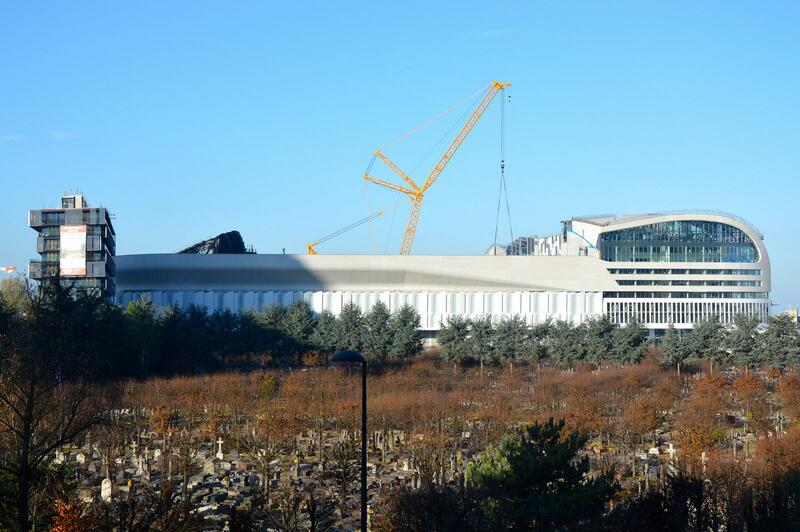 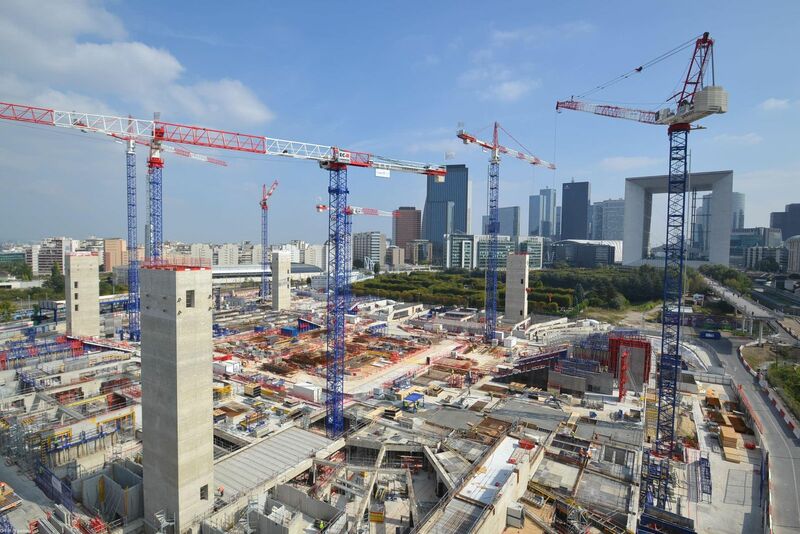 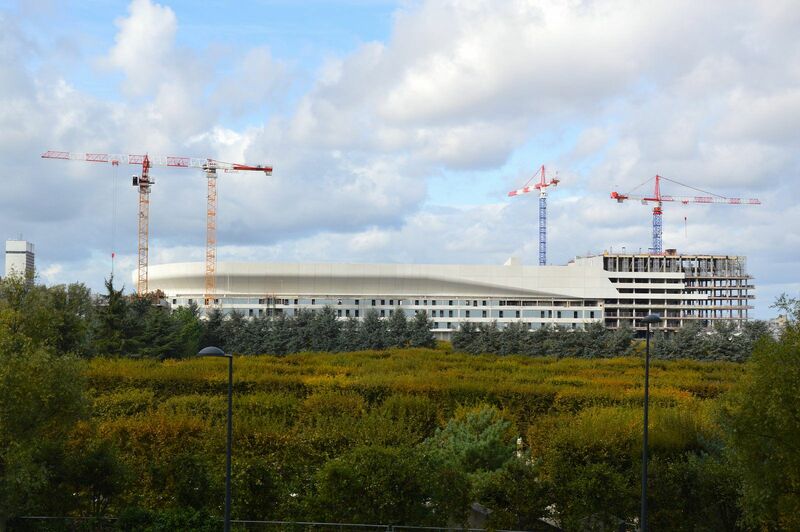 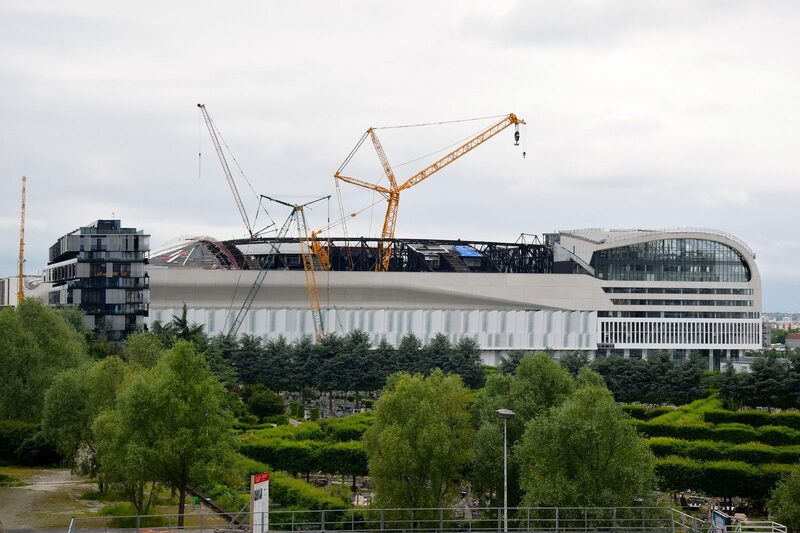 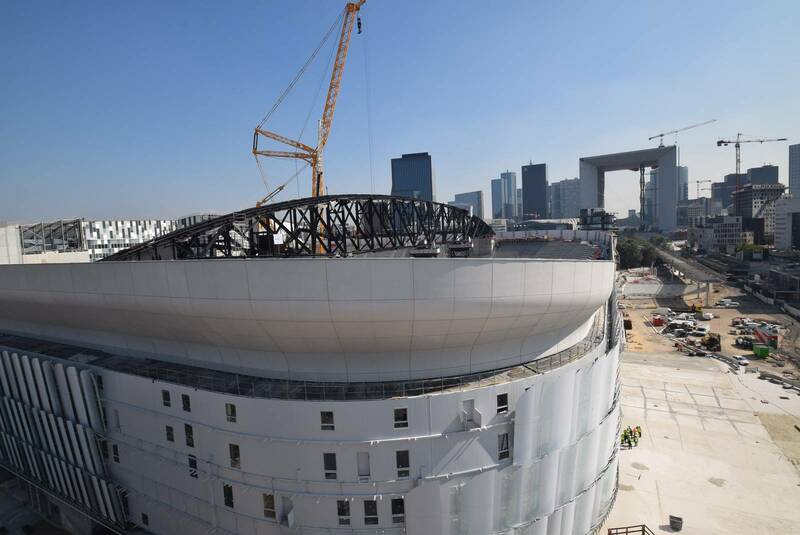 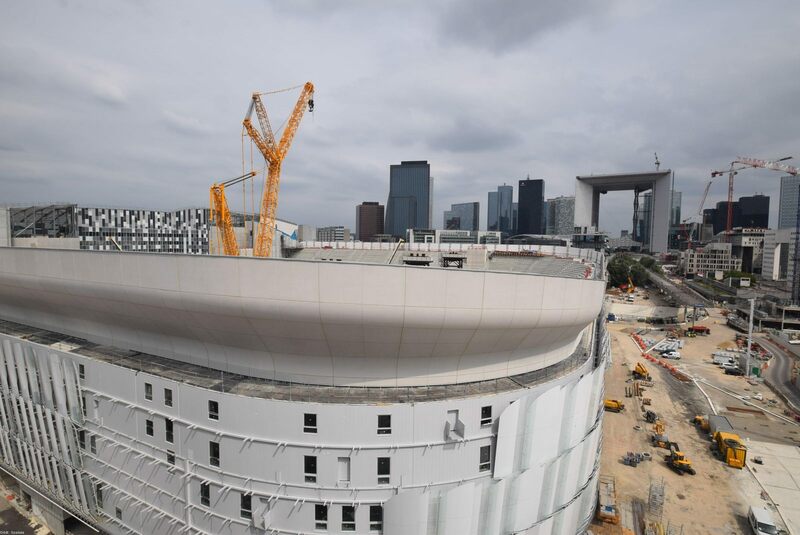 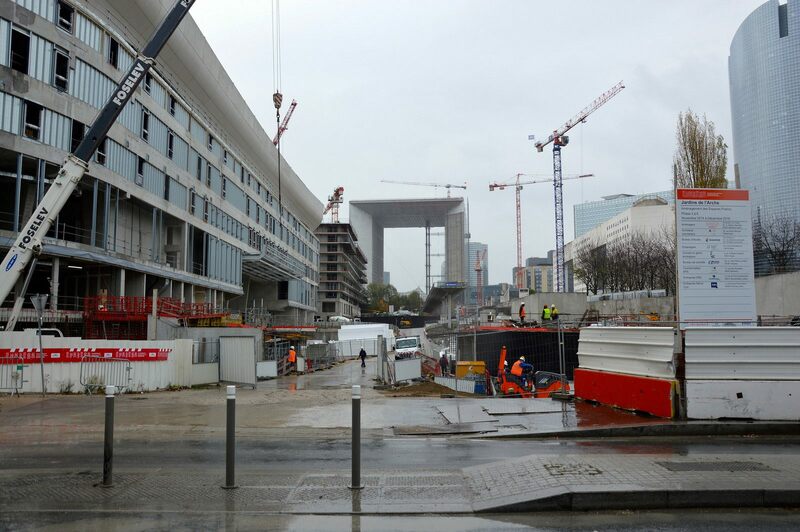 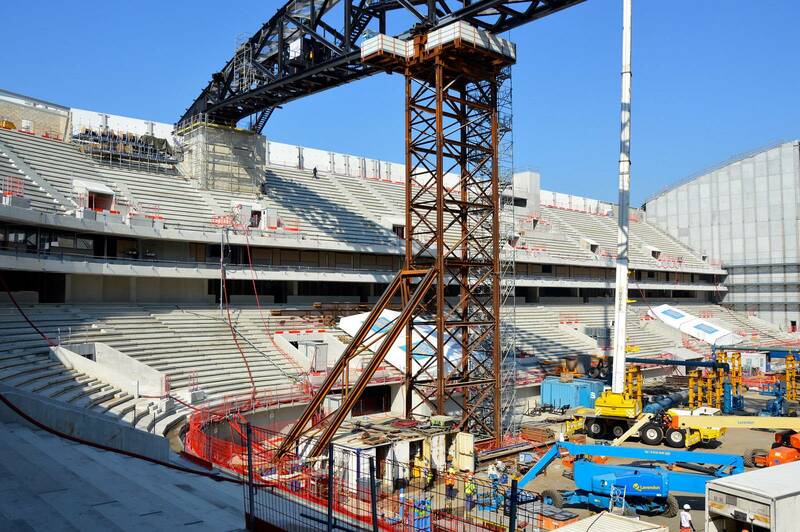 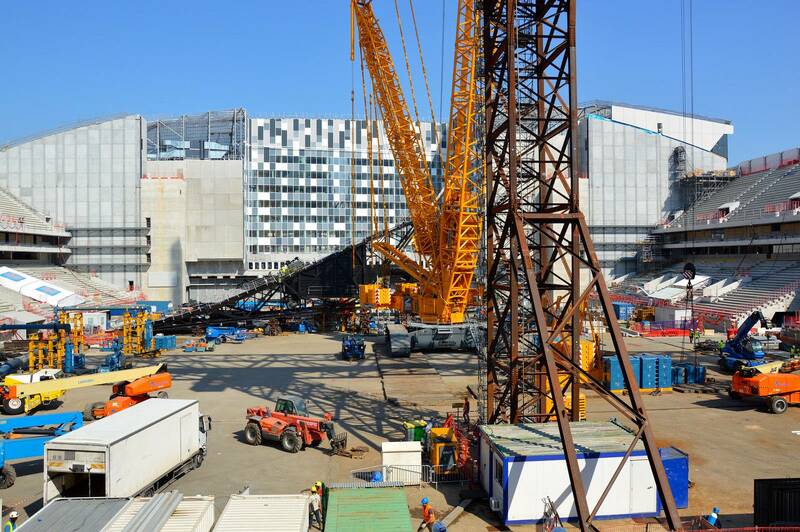 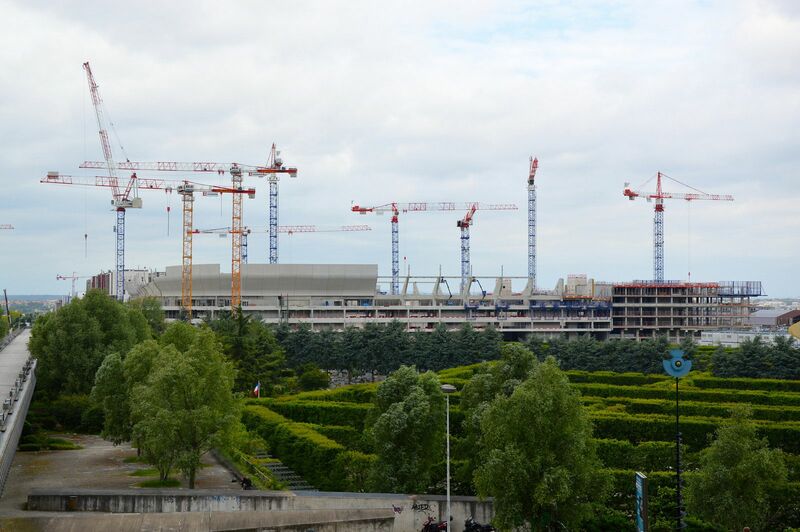 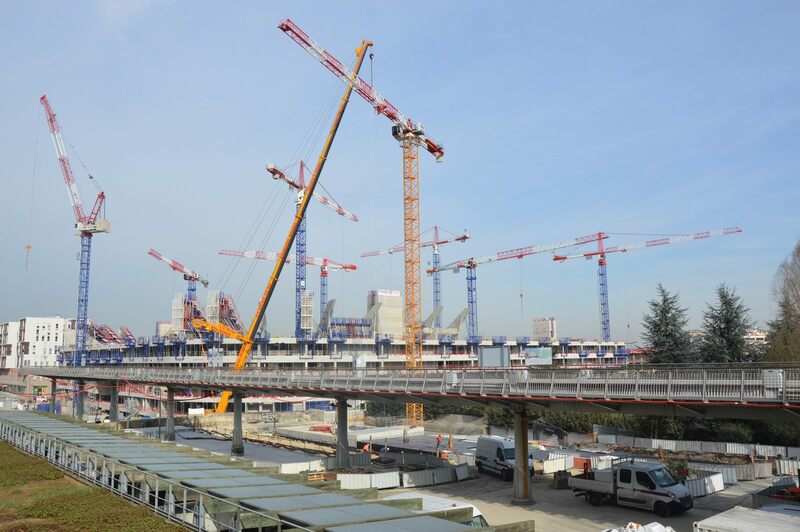 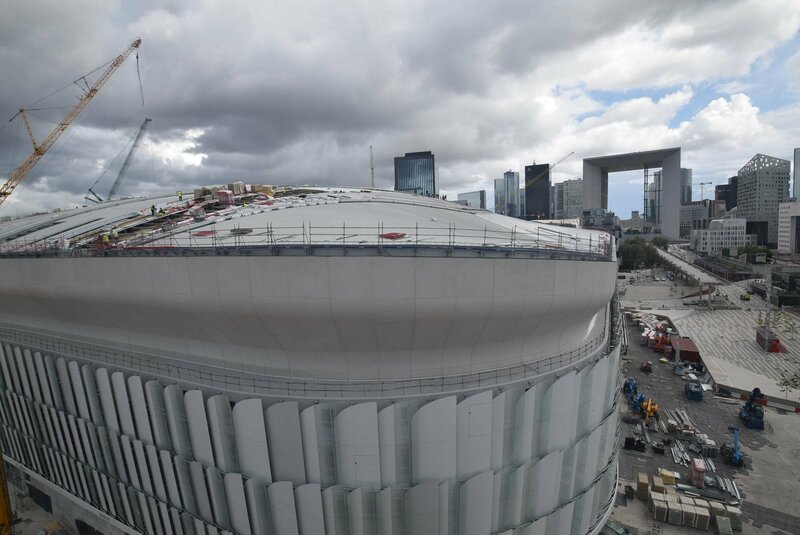 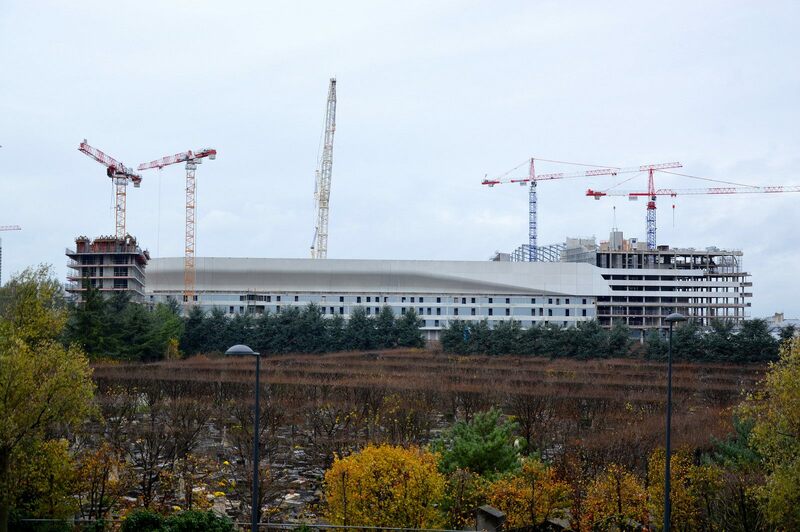 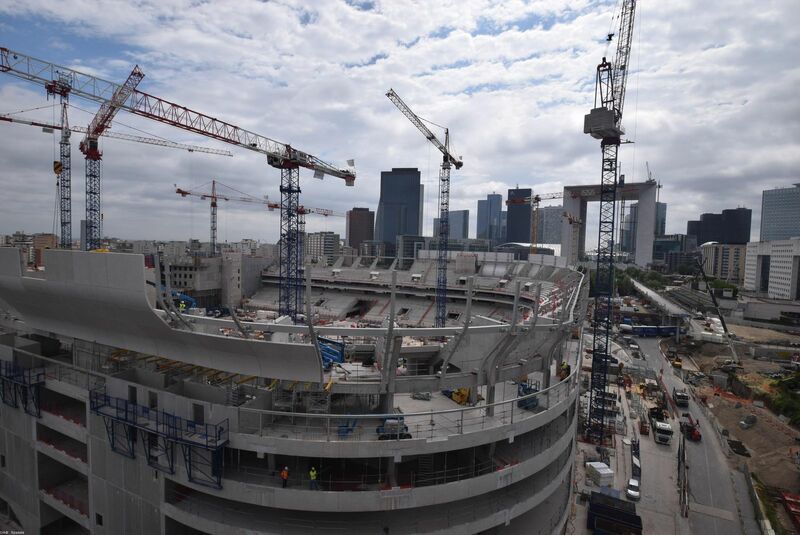 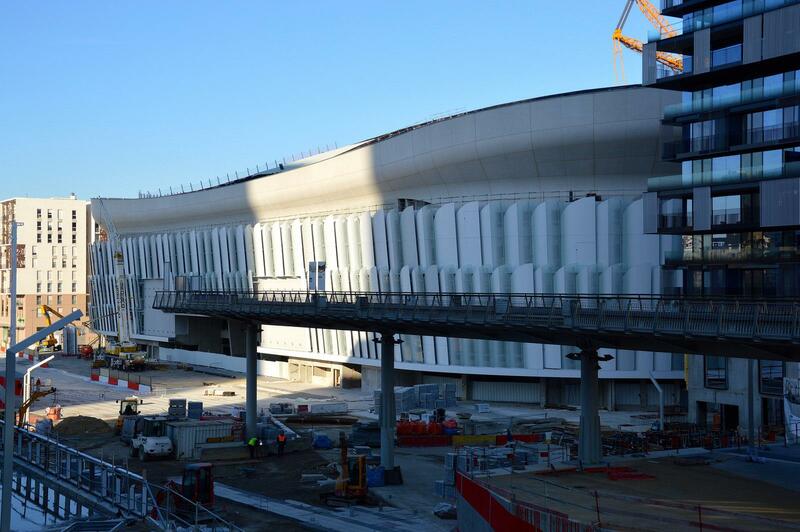 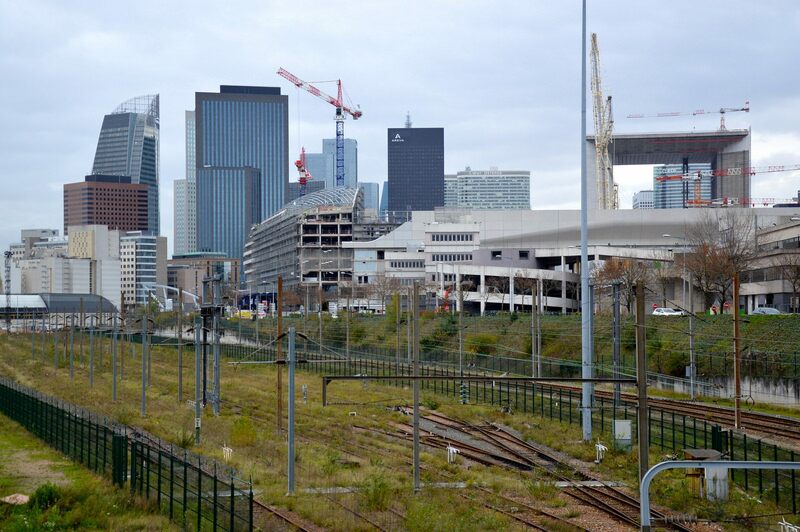 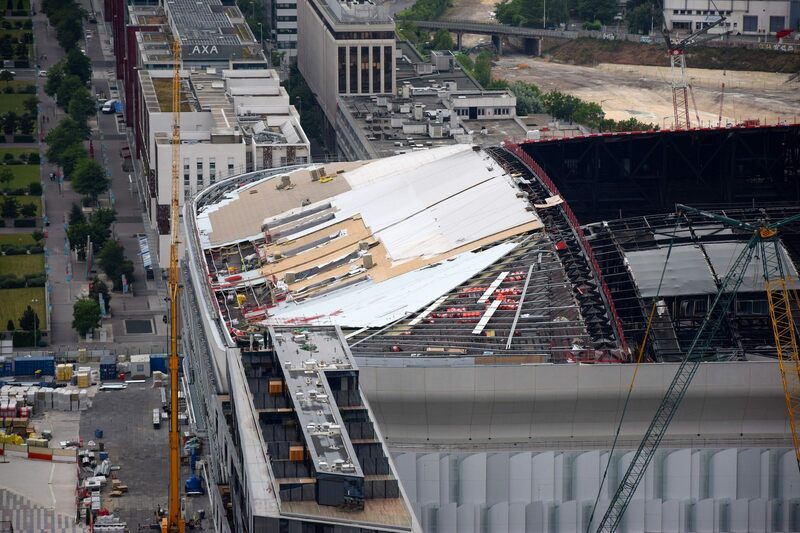 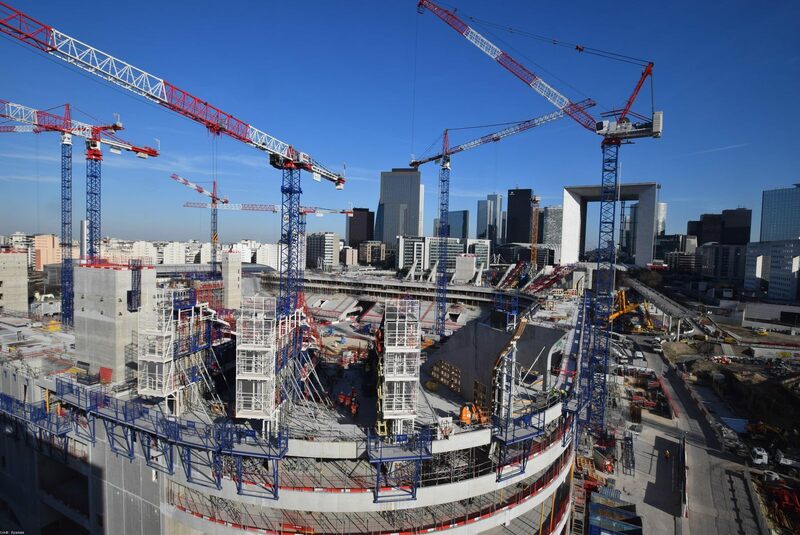 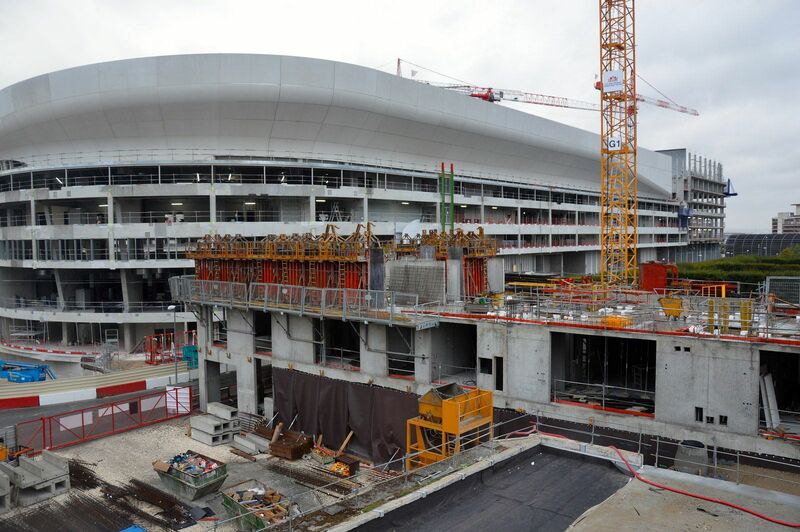 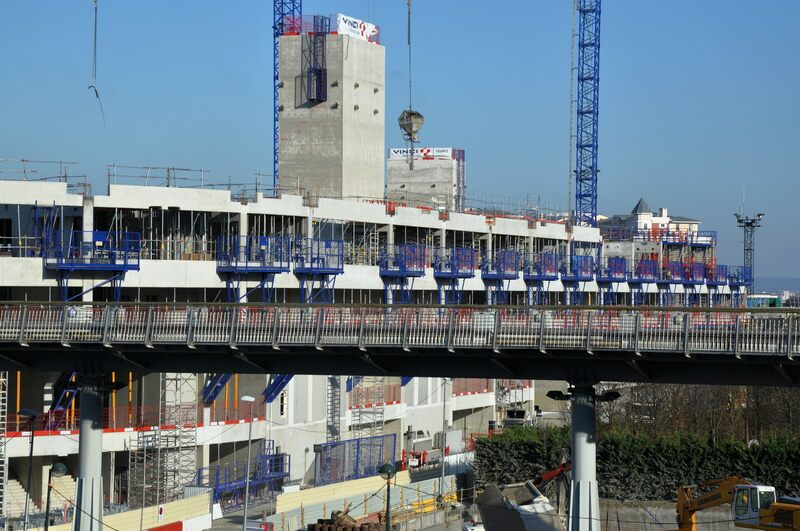 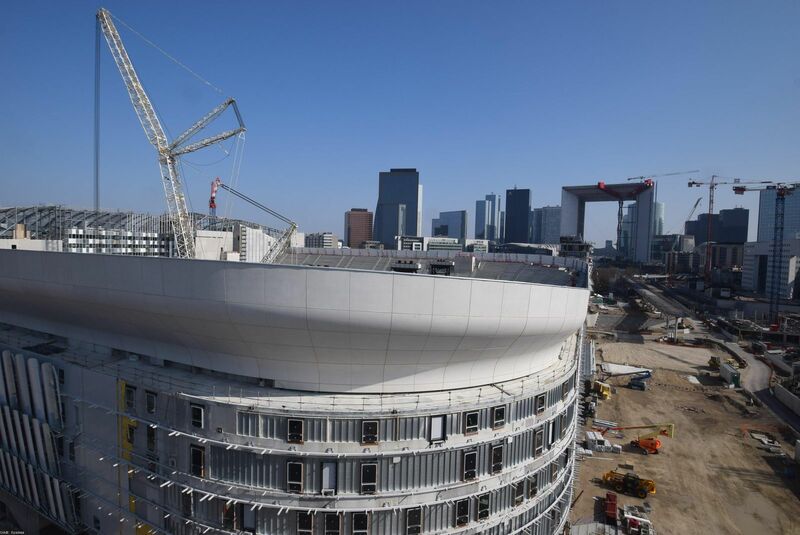 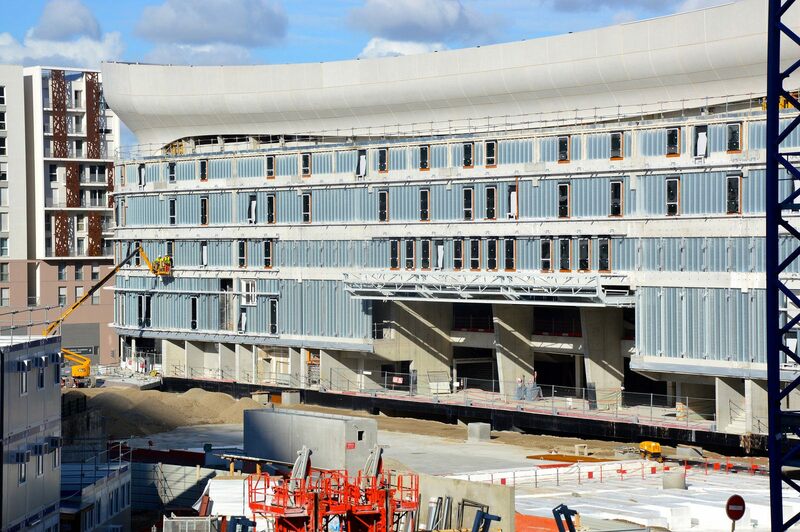 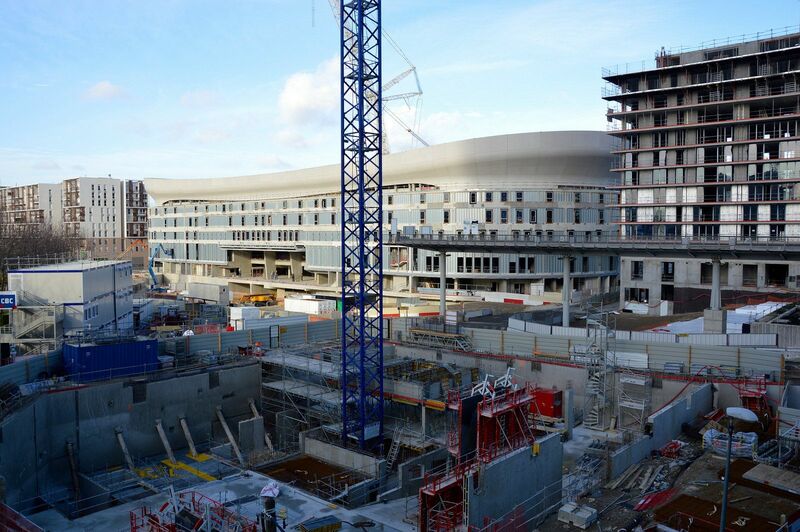 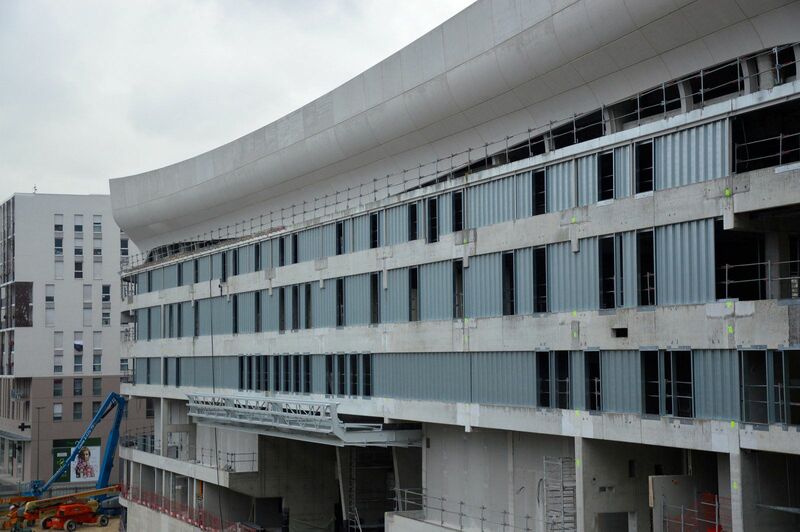 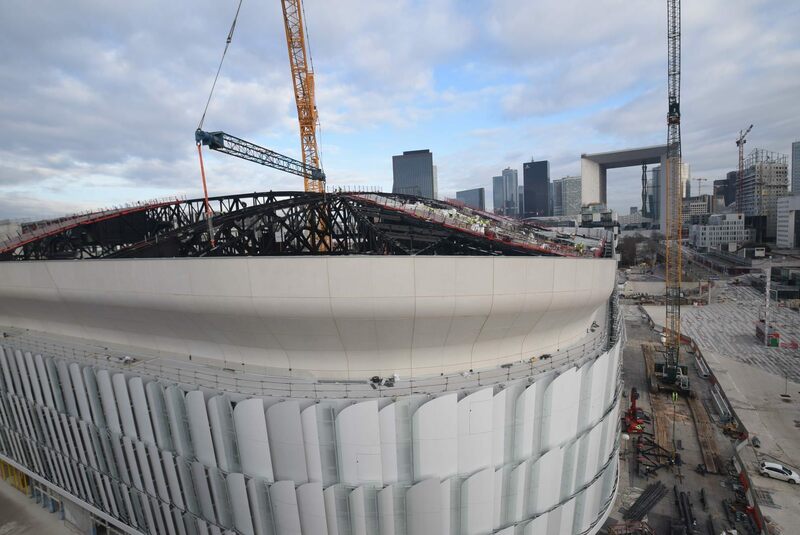 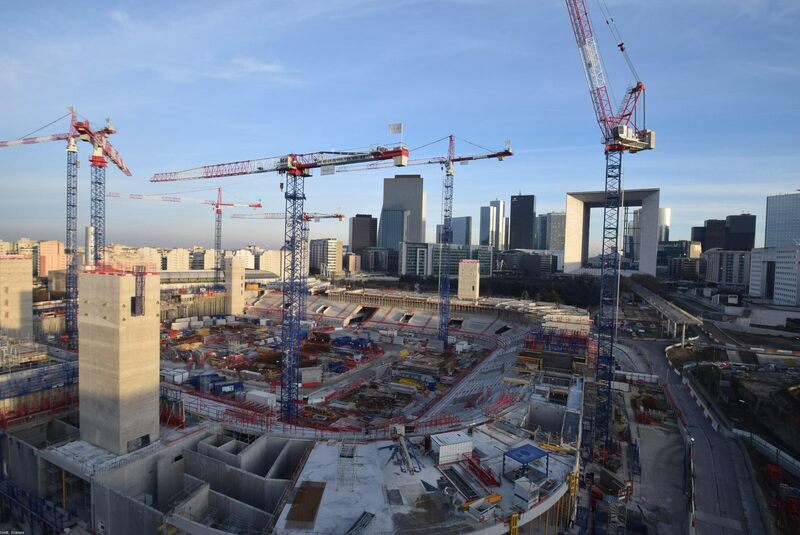 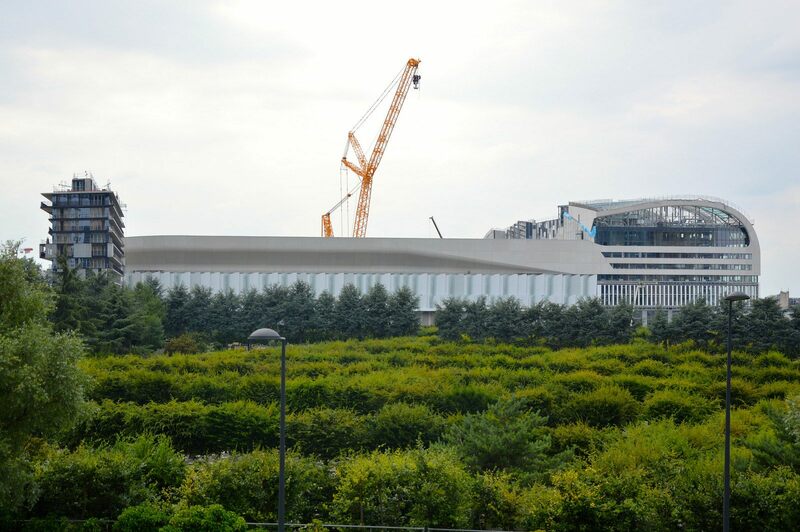 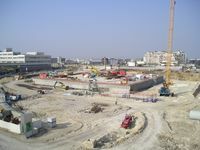 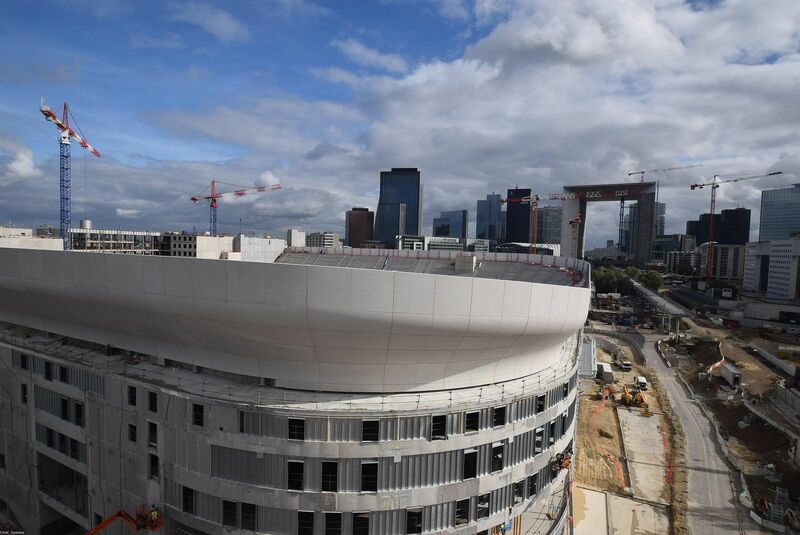 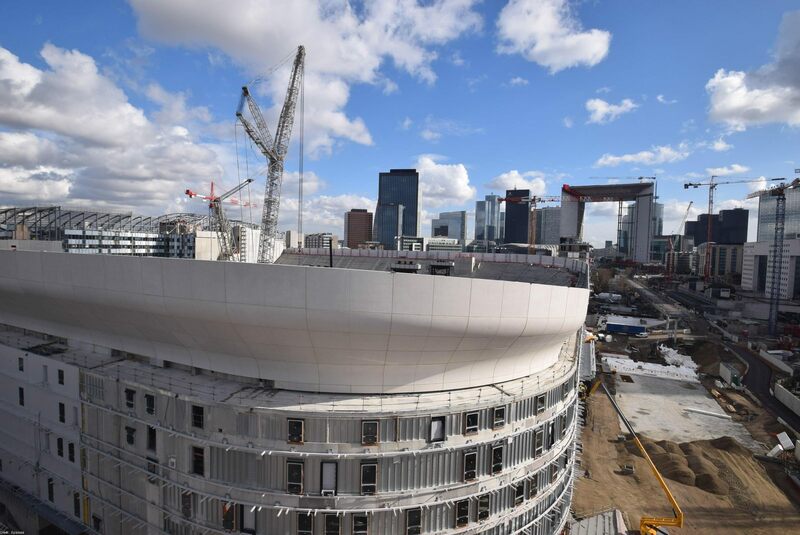 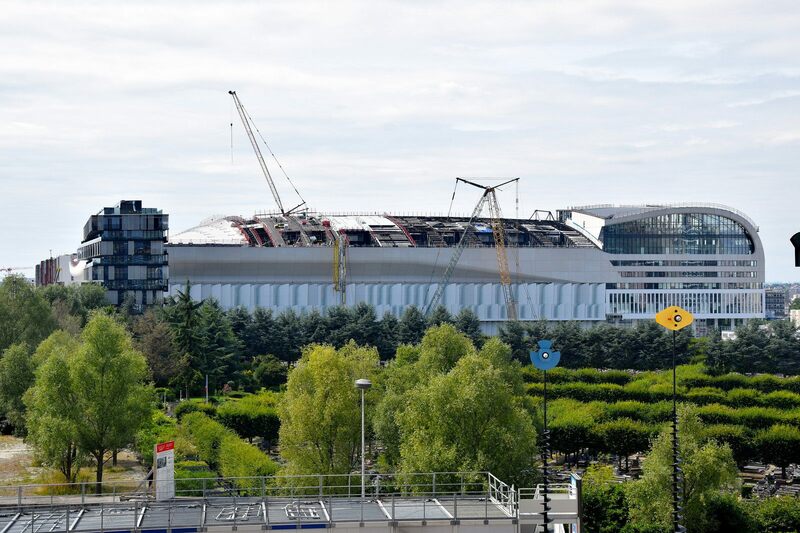 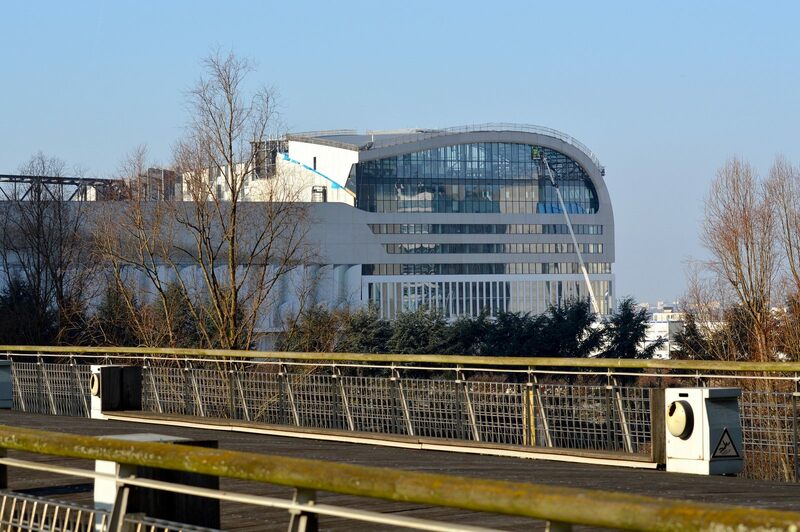 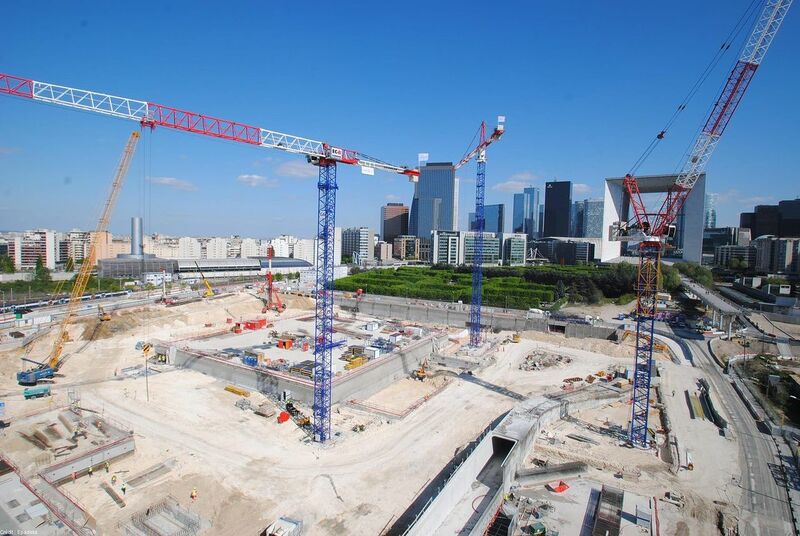 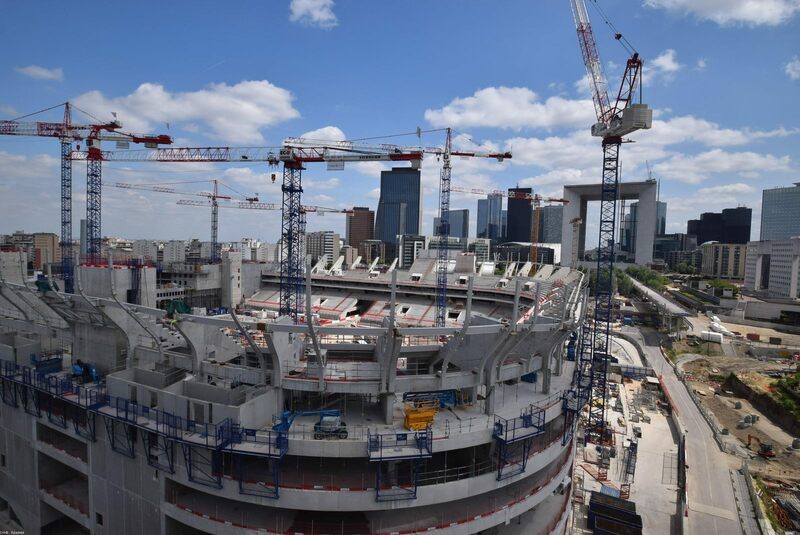 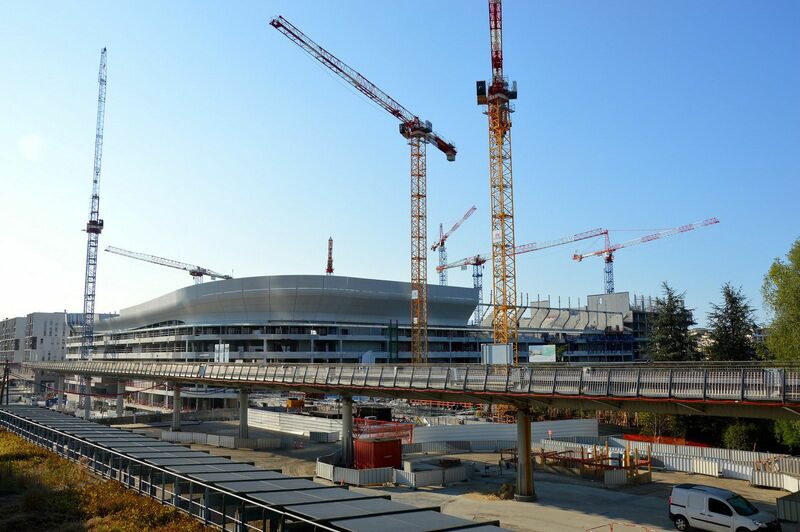 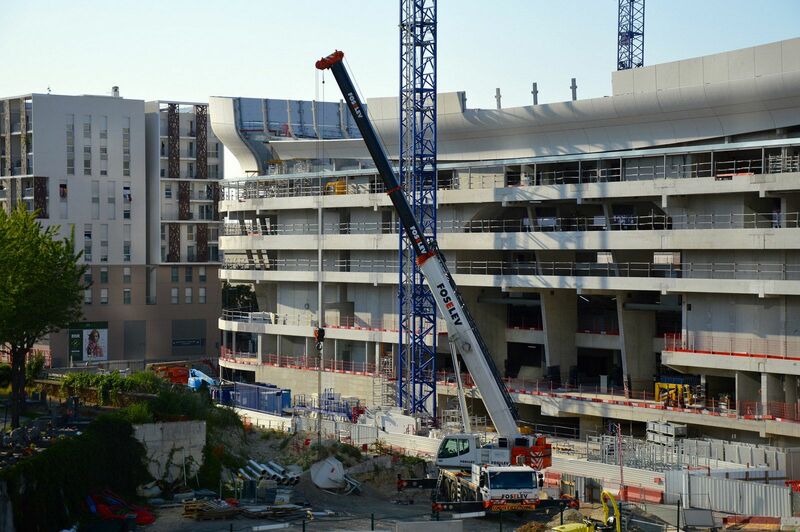 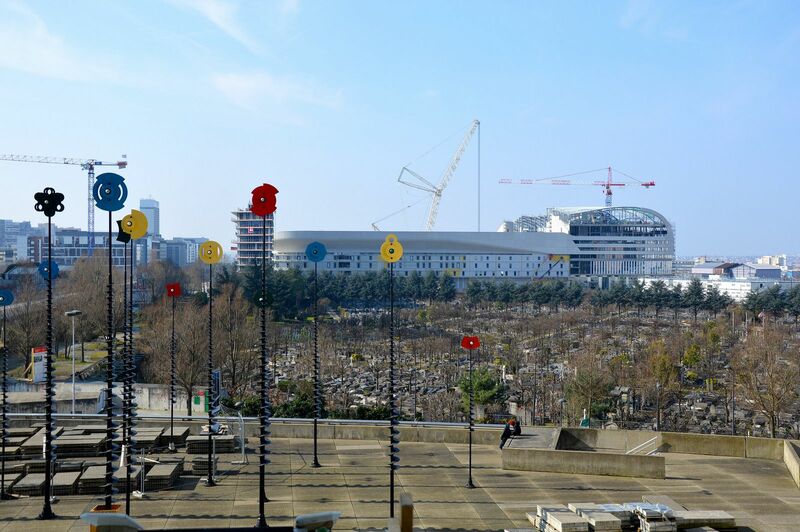 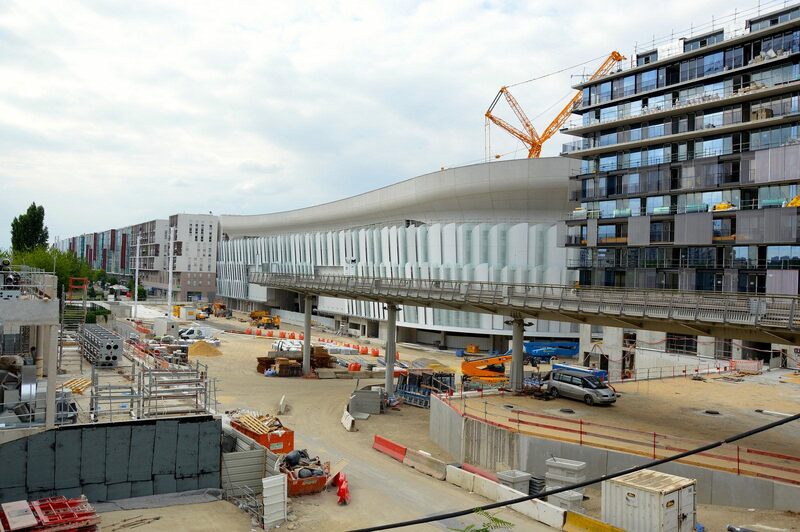 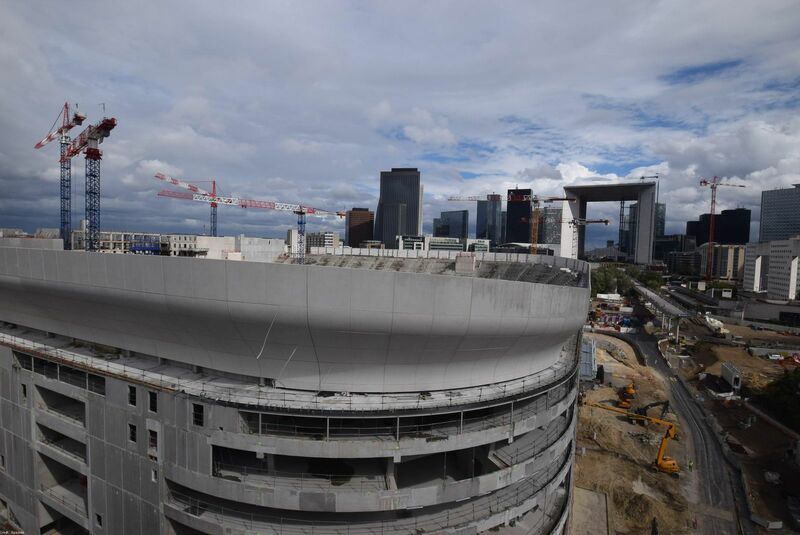 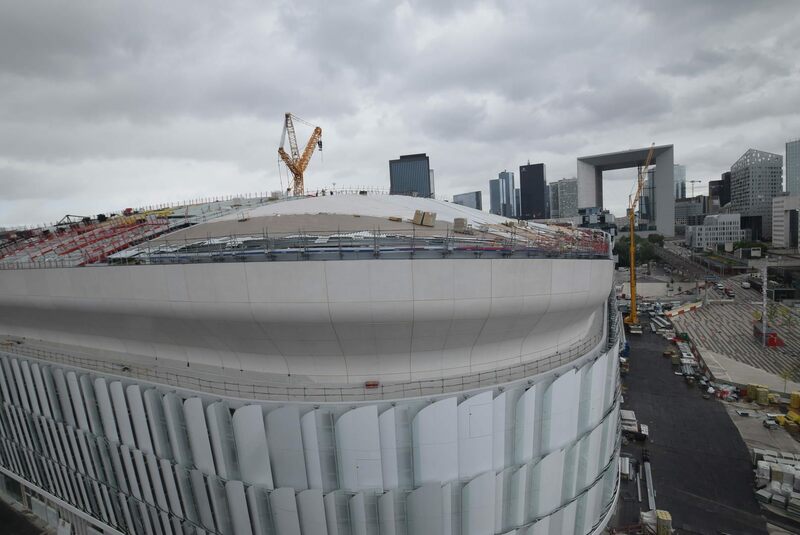 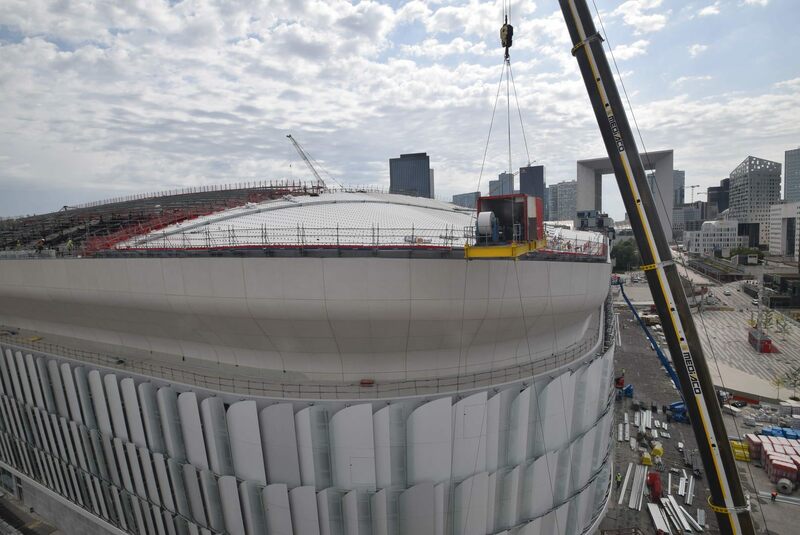 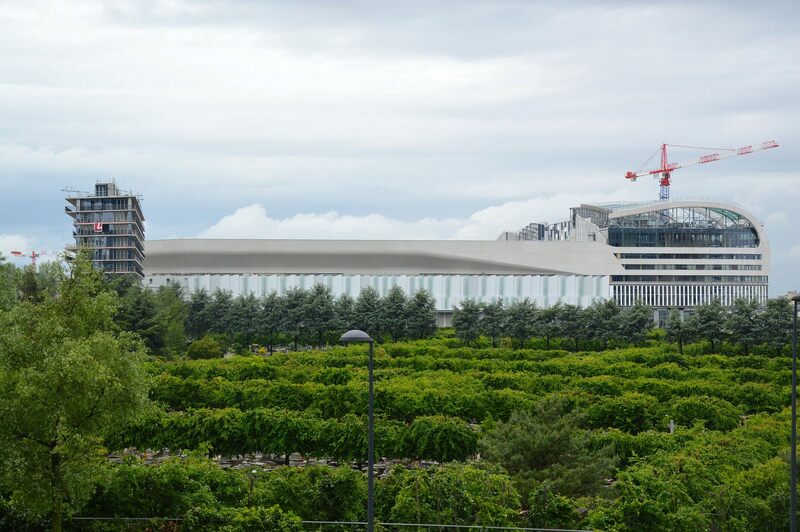 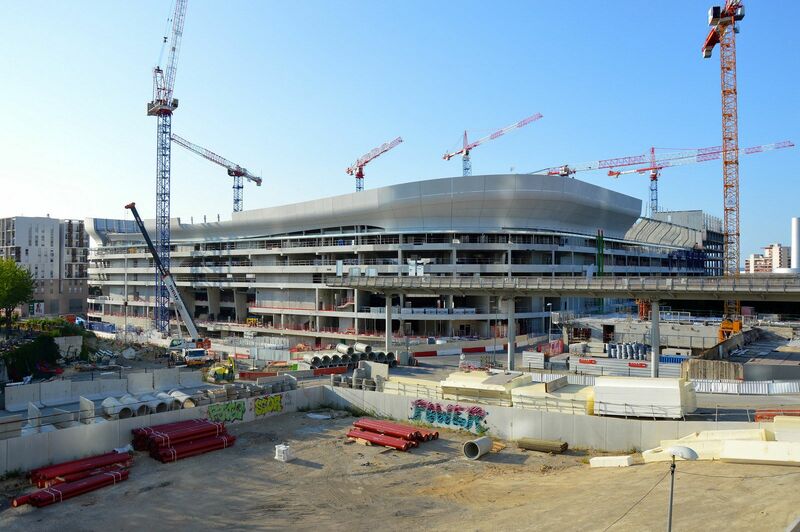 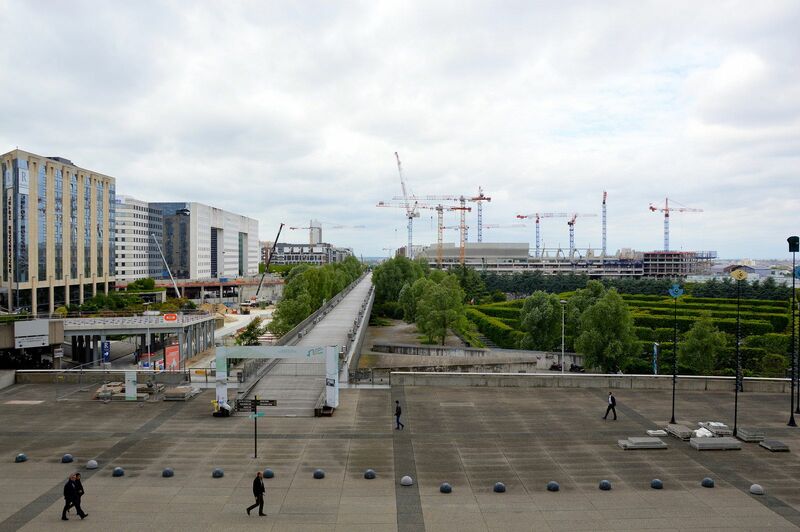 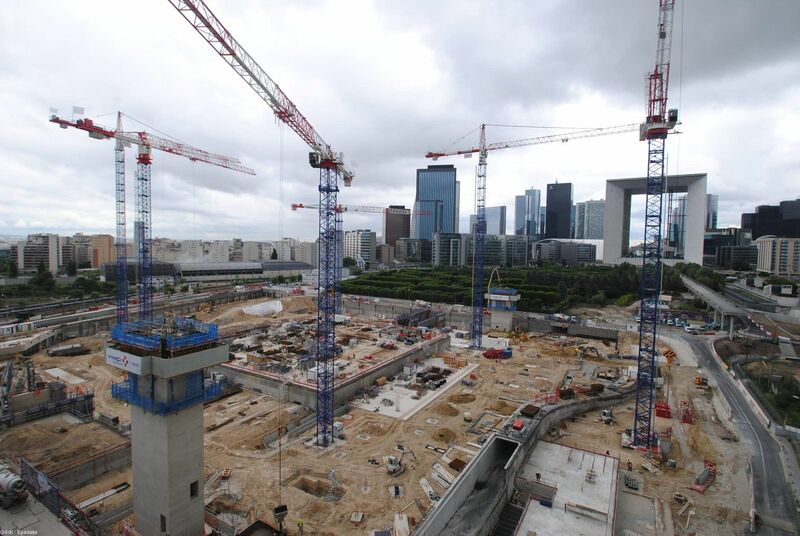 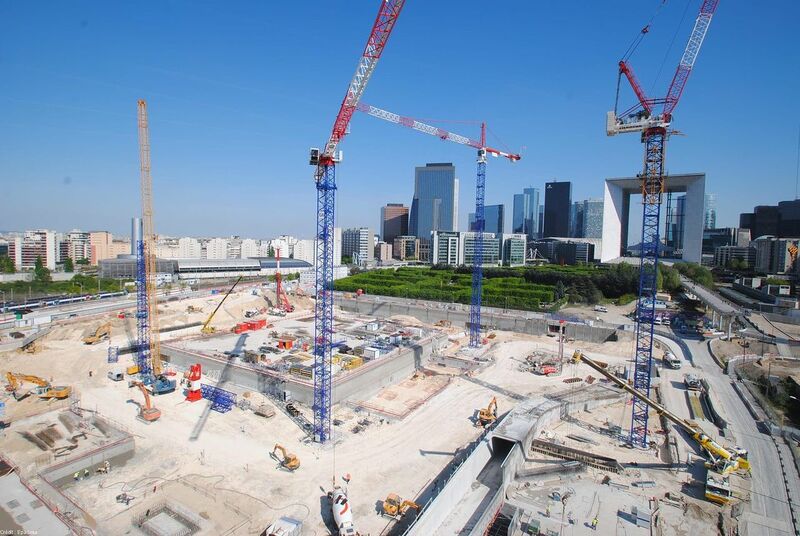 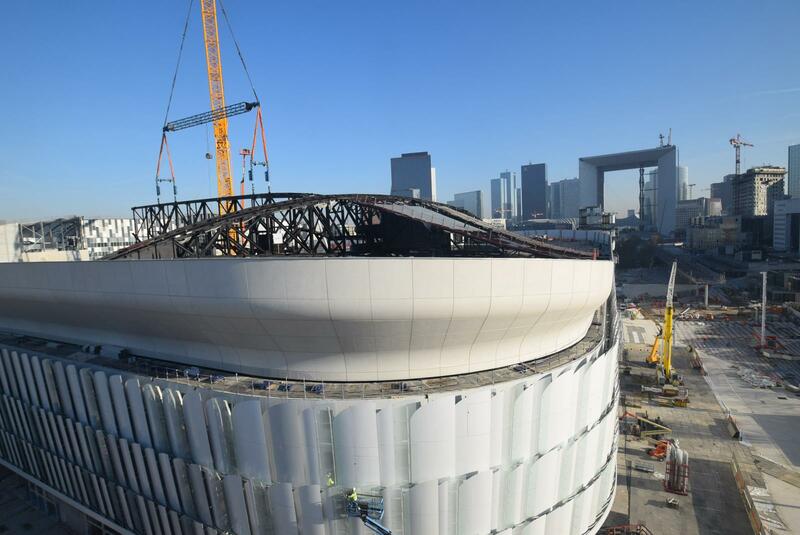 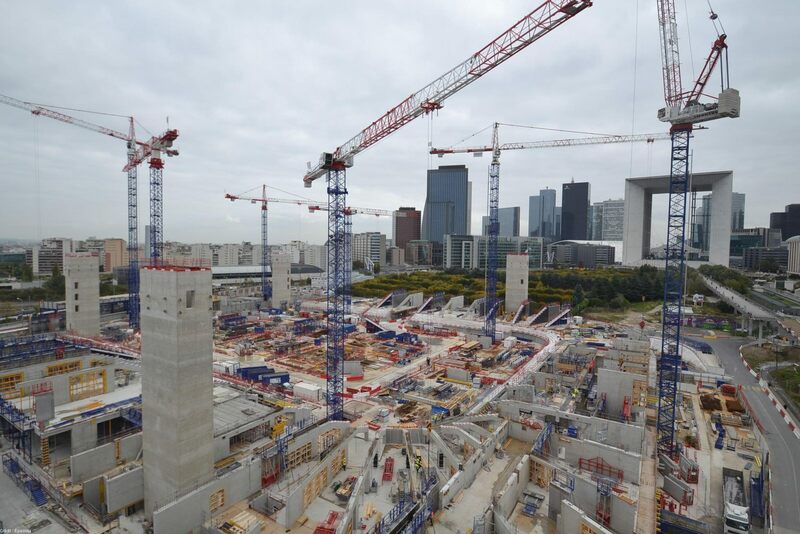 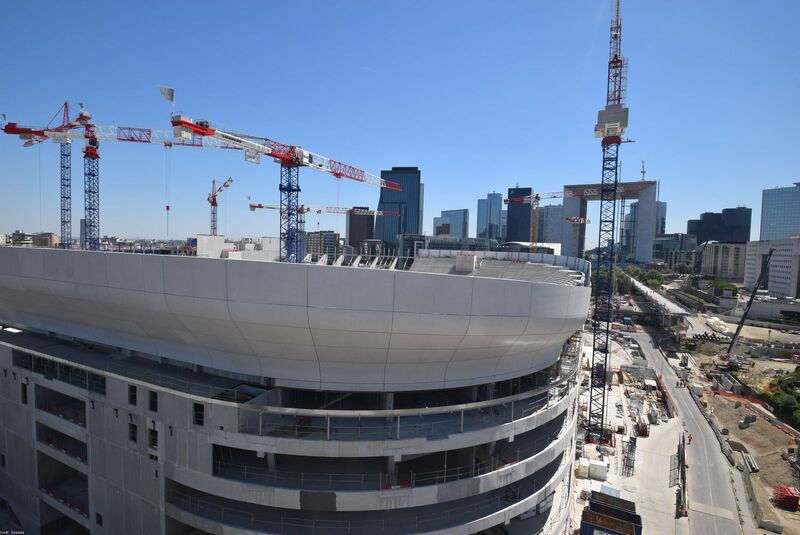 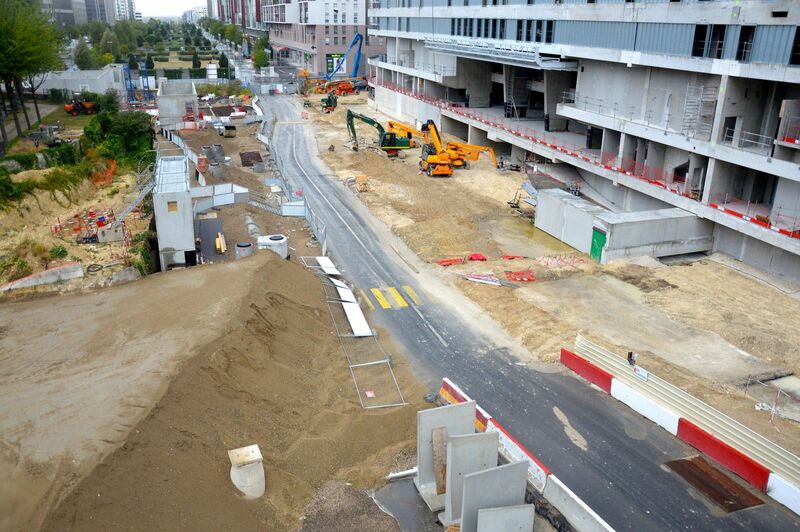 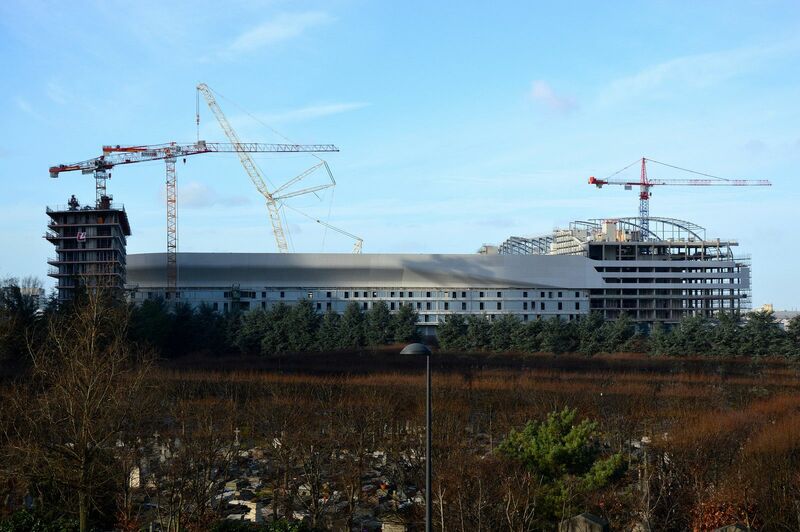 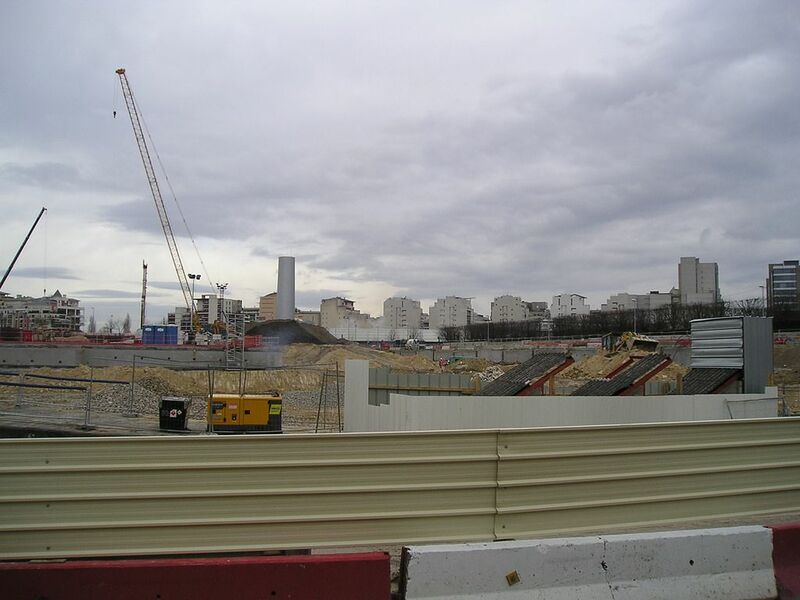 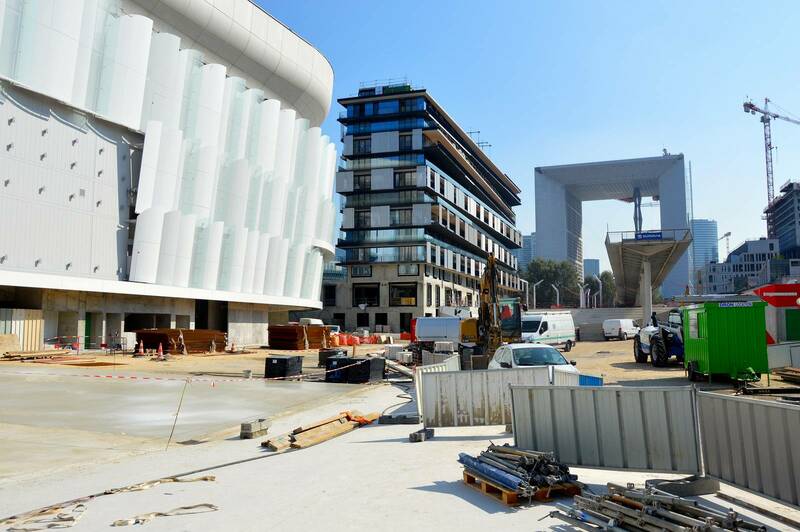 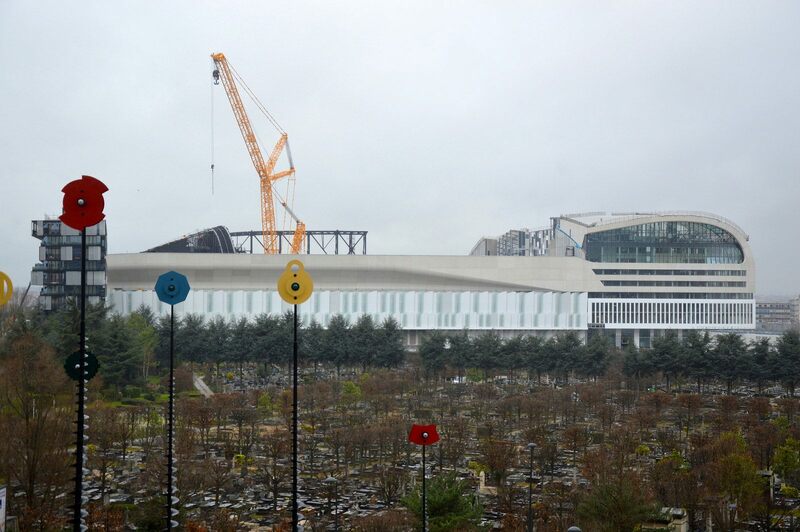 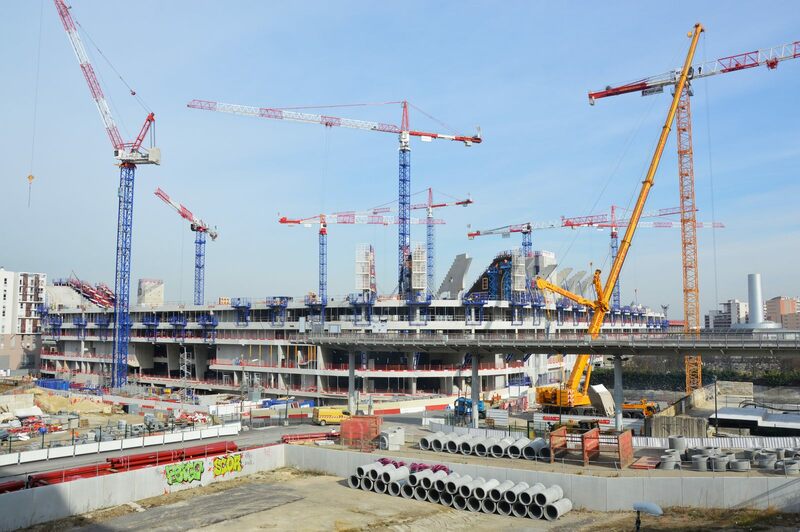 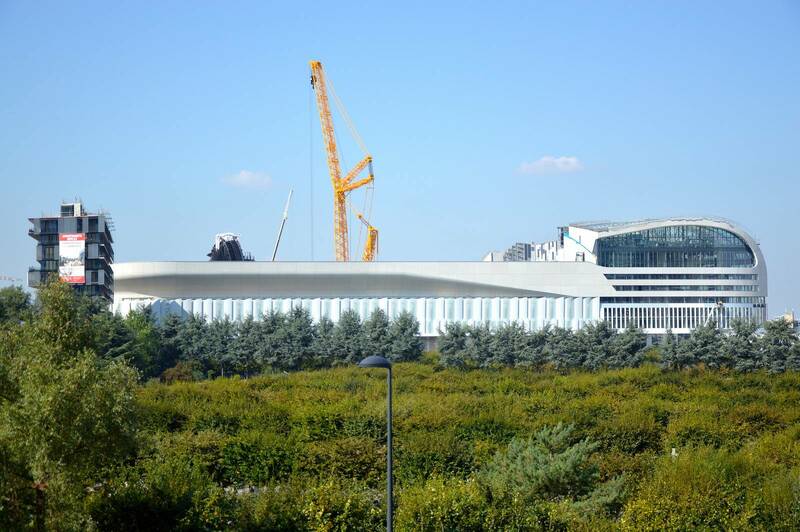 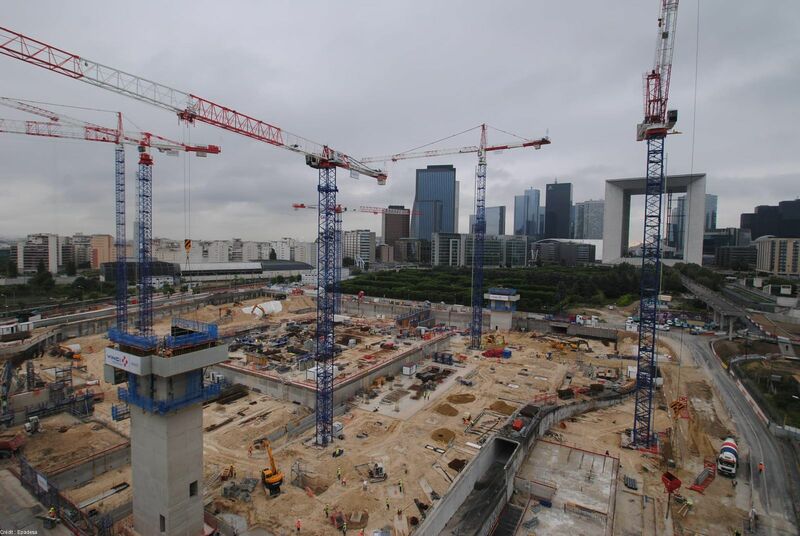 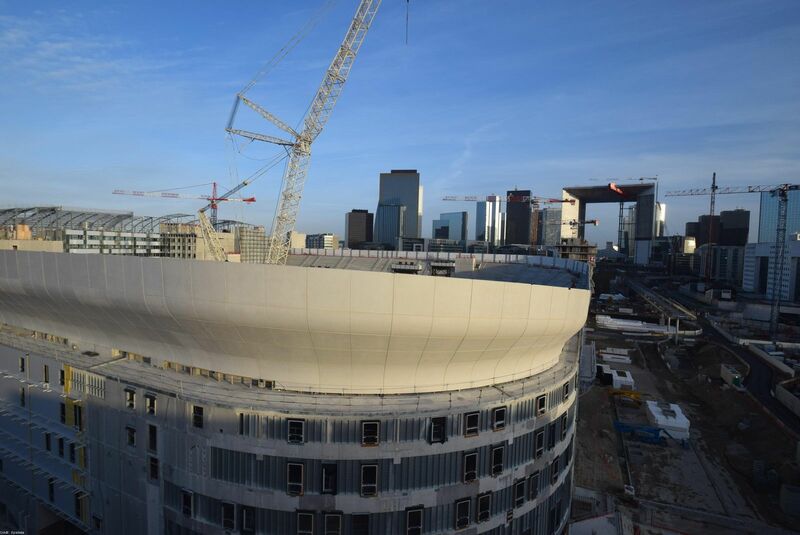 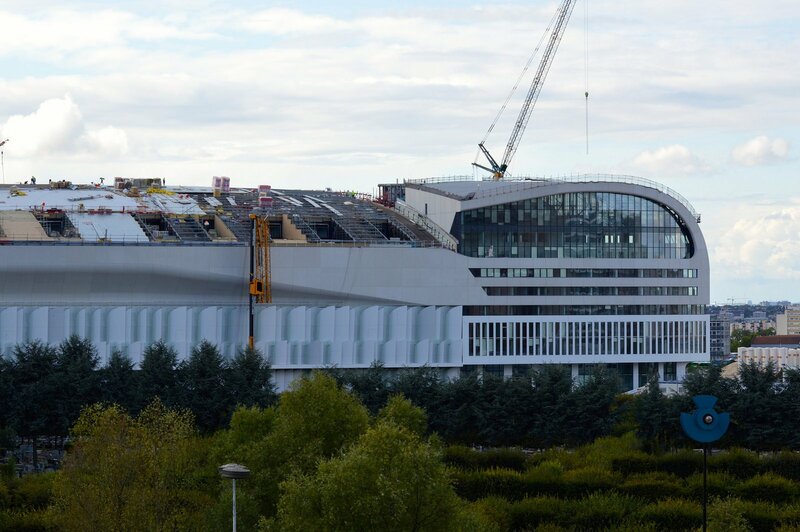 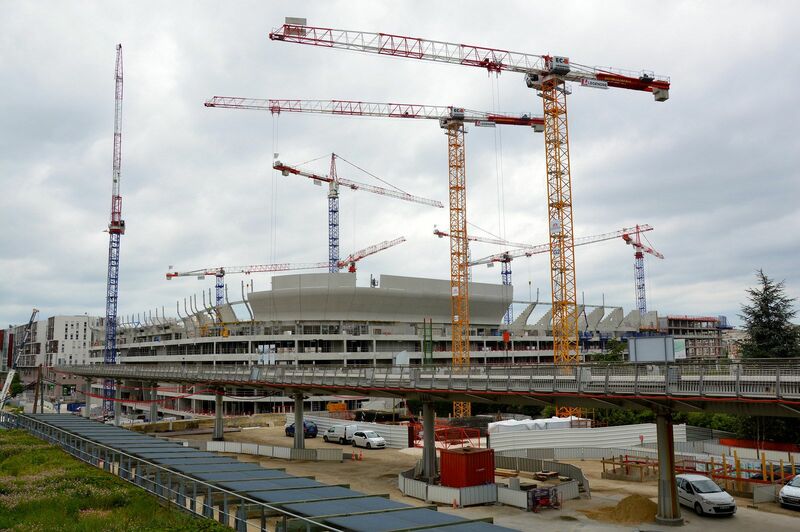 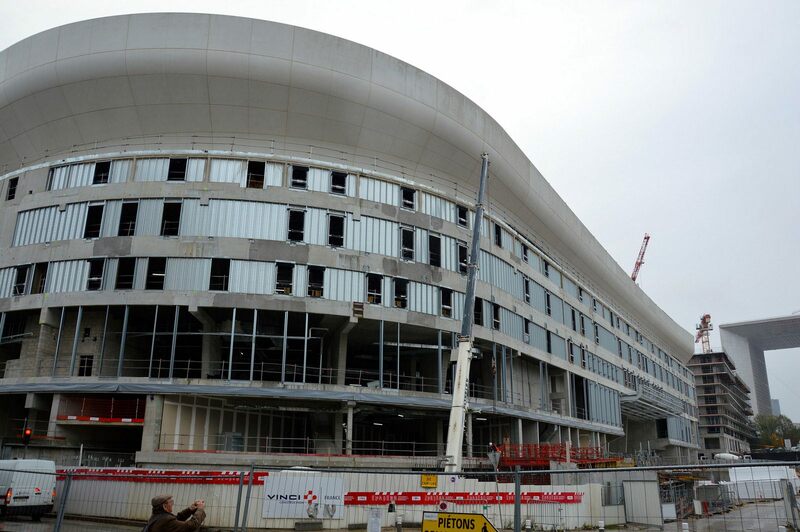 New stadium for rugby side Racing is to be situated in the business district of La Defense in Paris. 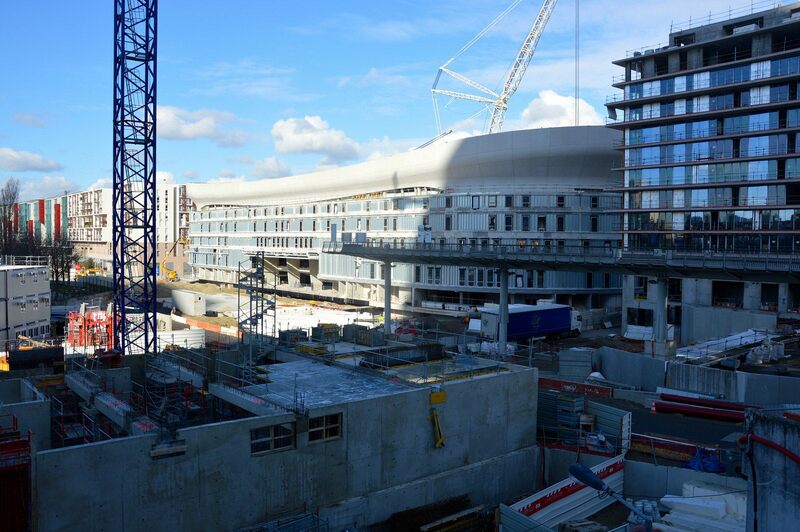 Delivery date is set before the end of 2017, though initially it was hoped to be opened back in 2013/14. 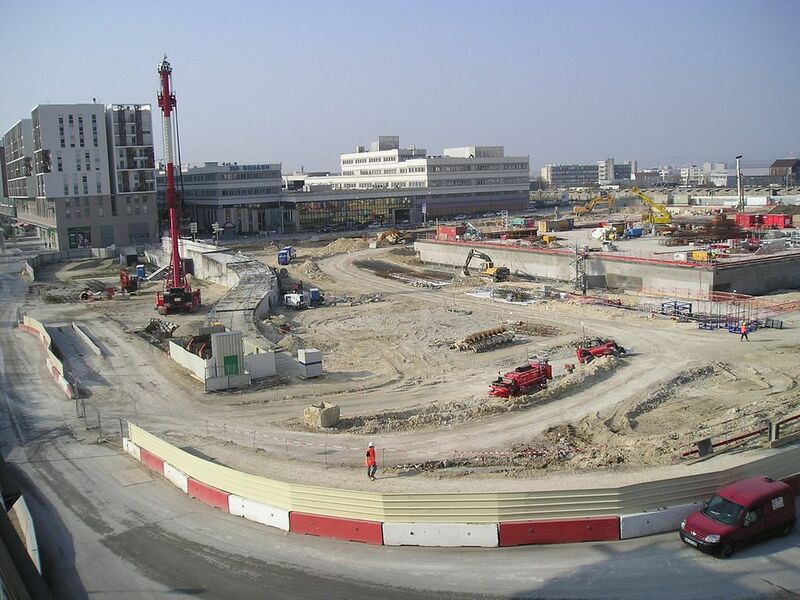 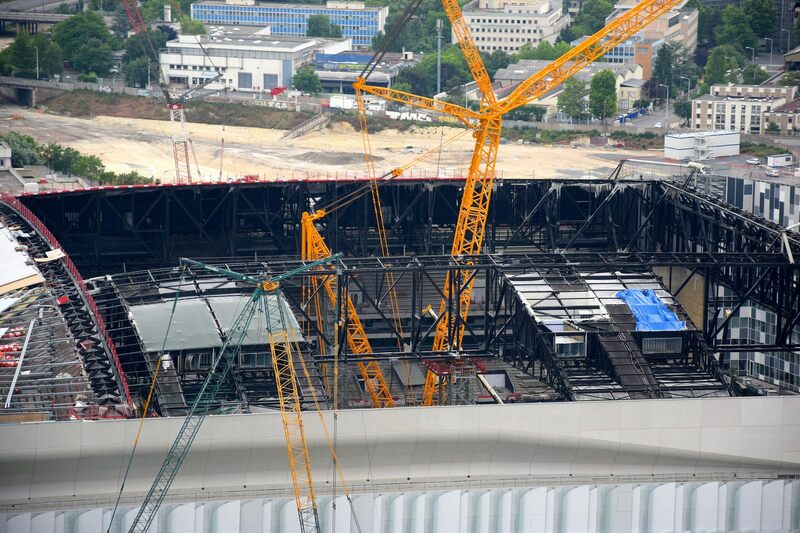 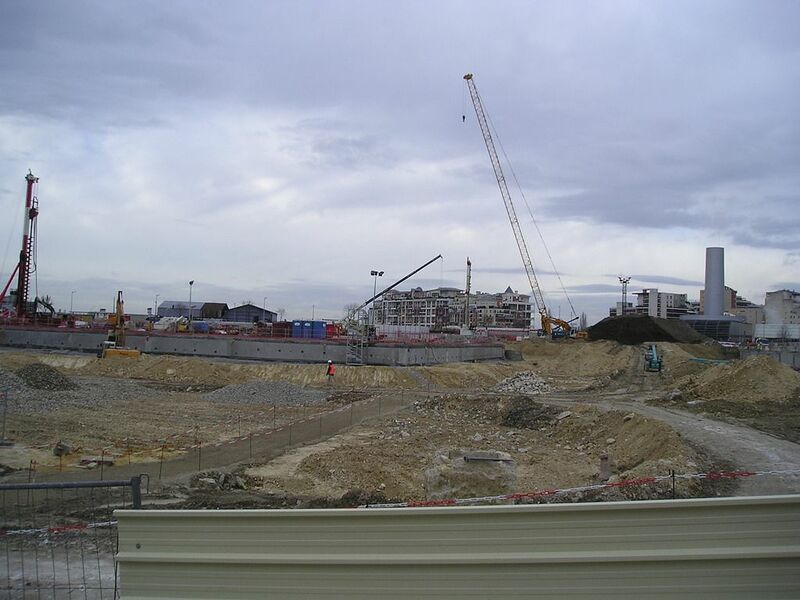 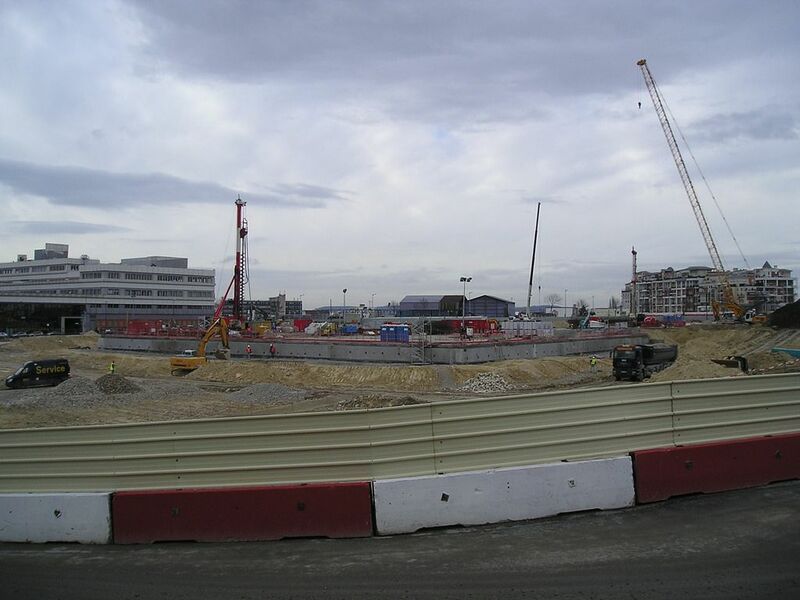 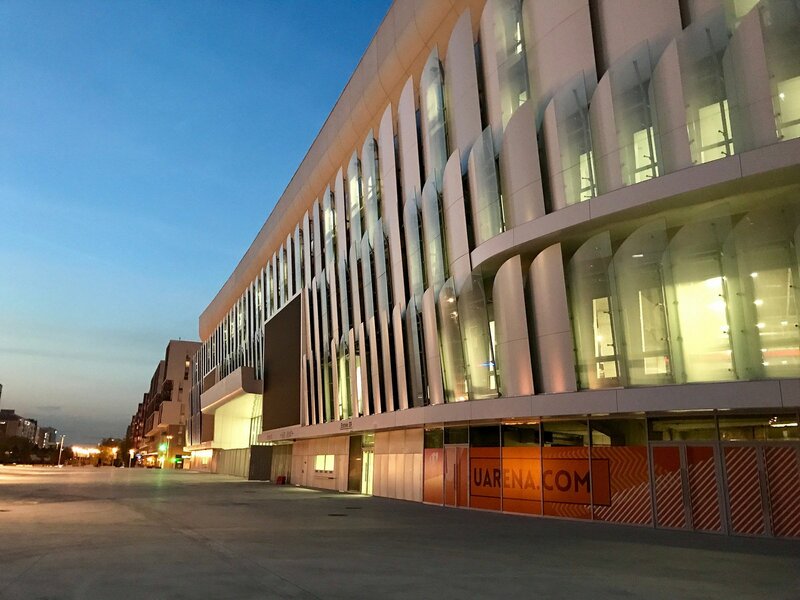 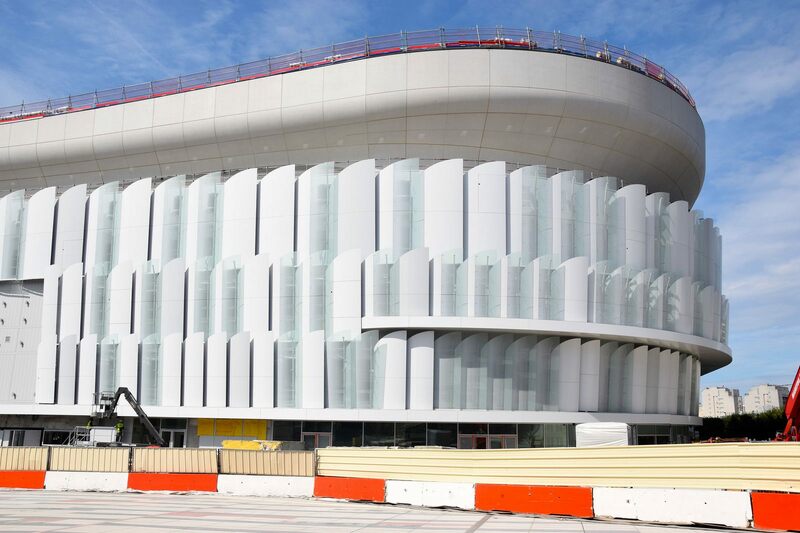 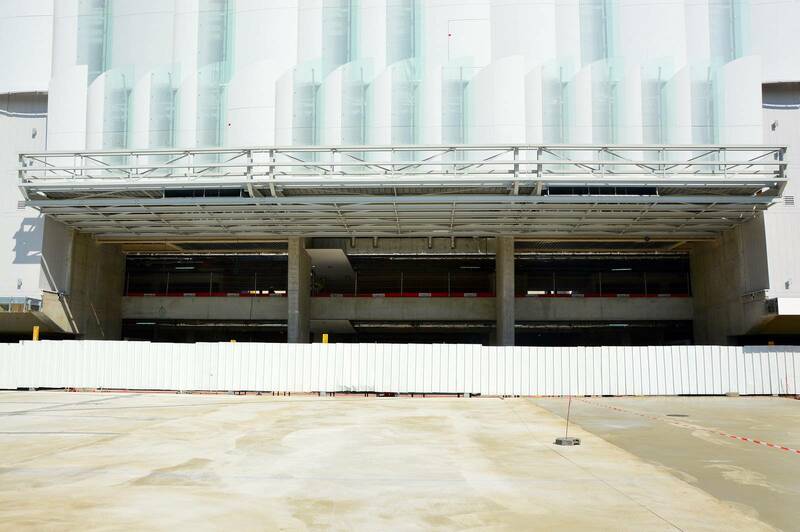 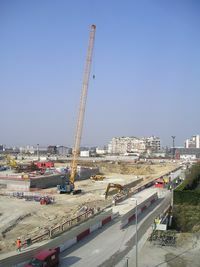 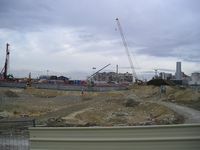 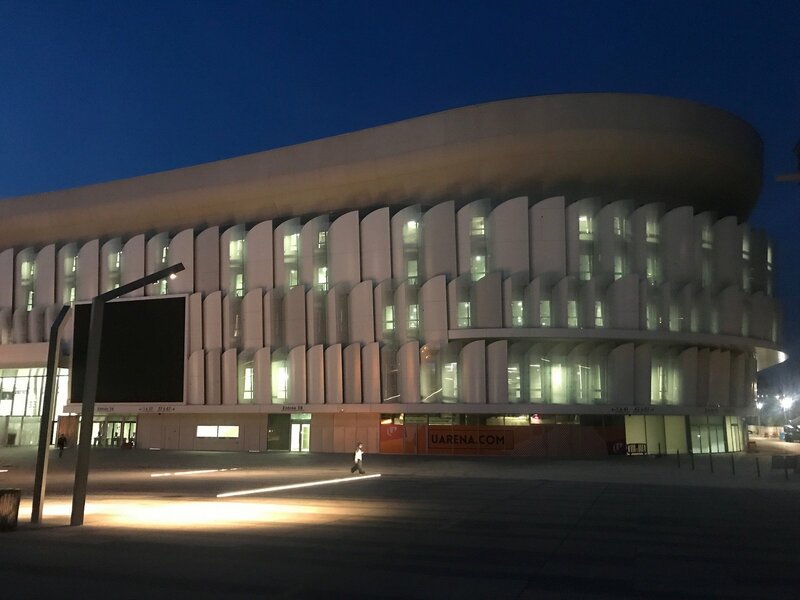 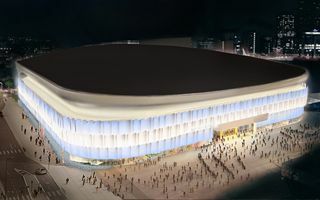 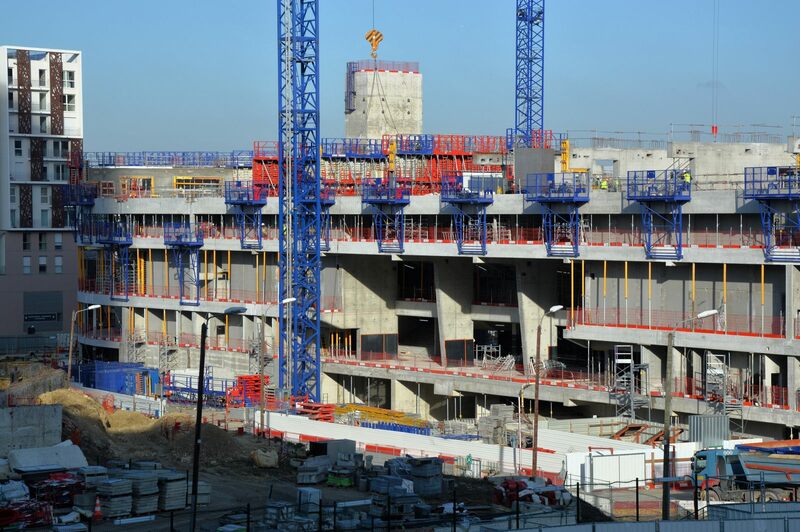 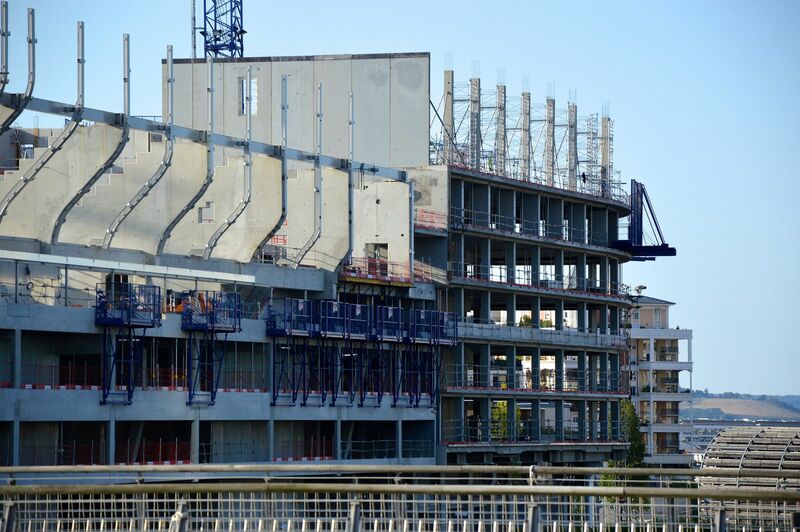 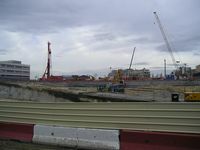 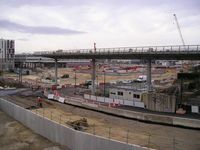 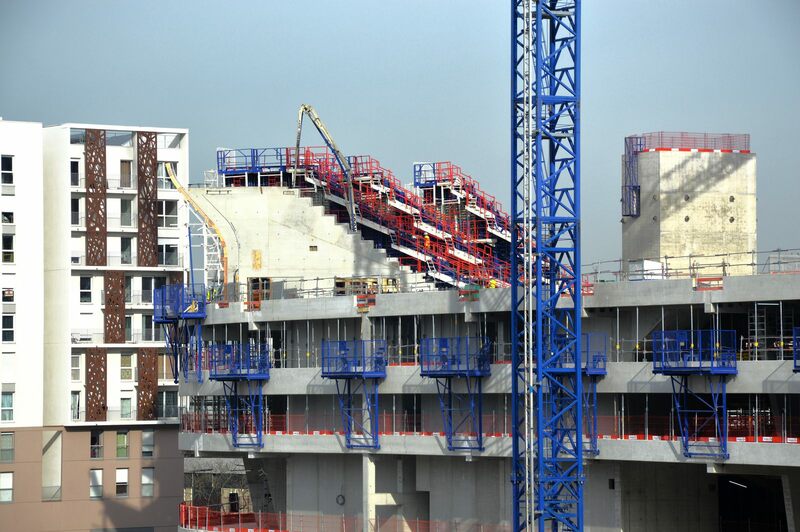 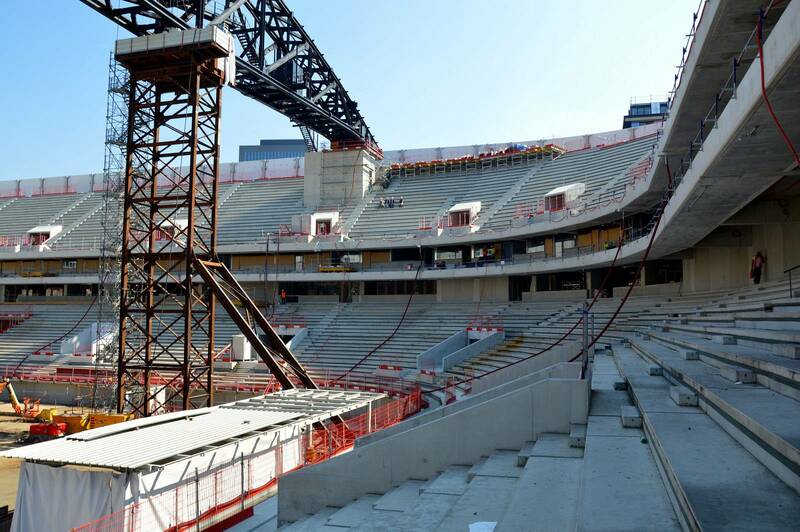 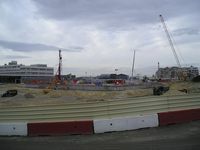 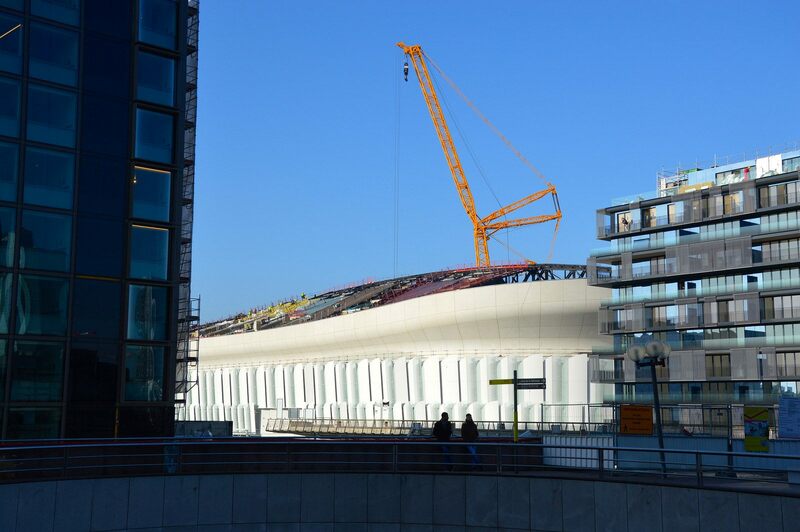 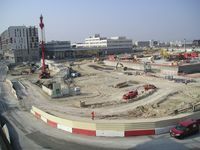 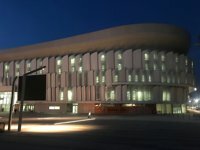 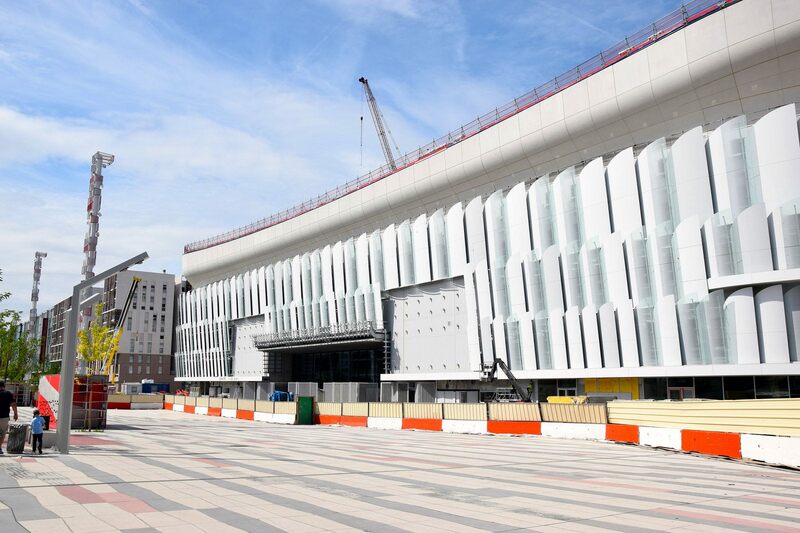 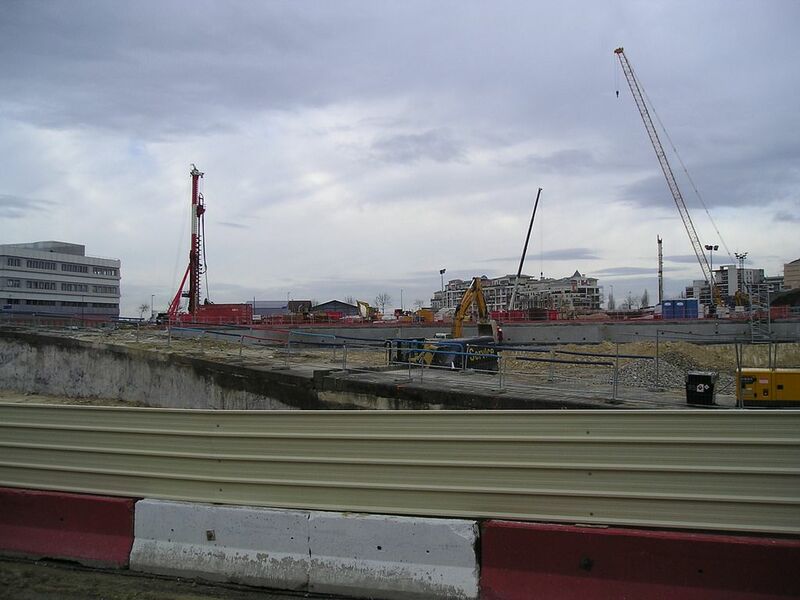 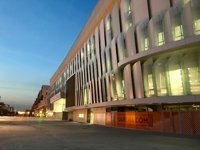 Due to financial deadlock this private investment hasn't moved until mid-2013, when Jacky Lorenzetti was informed to have an agreement to sell office plot near the stadium for €167 million. 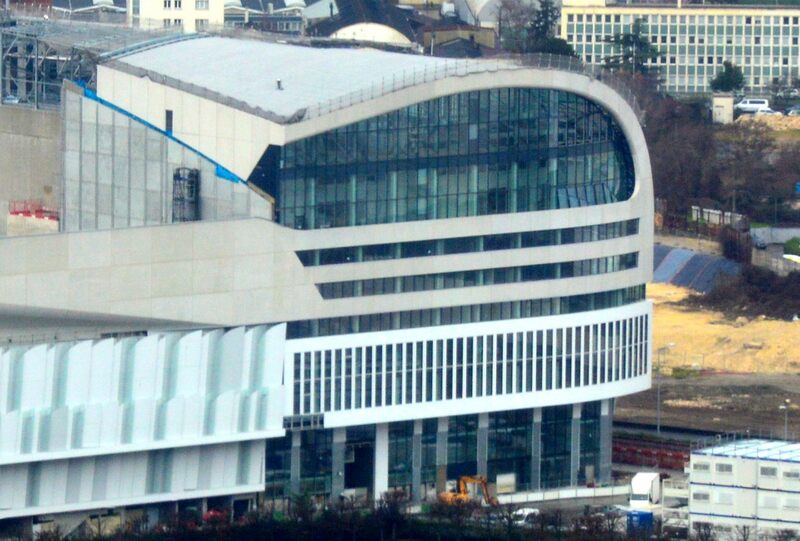 With this amount of own resources Lorenzetti should have no trouble with banks granting further 200 million. 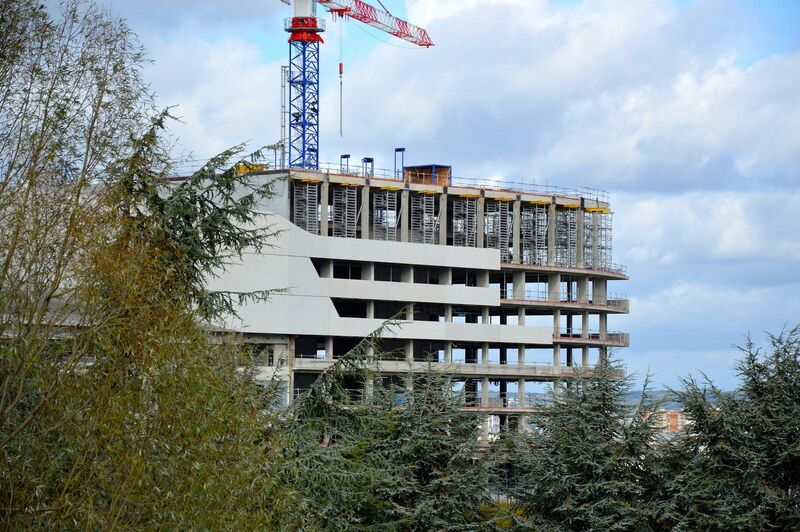 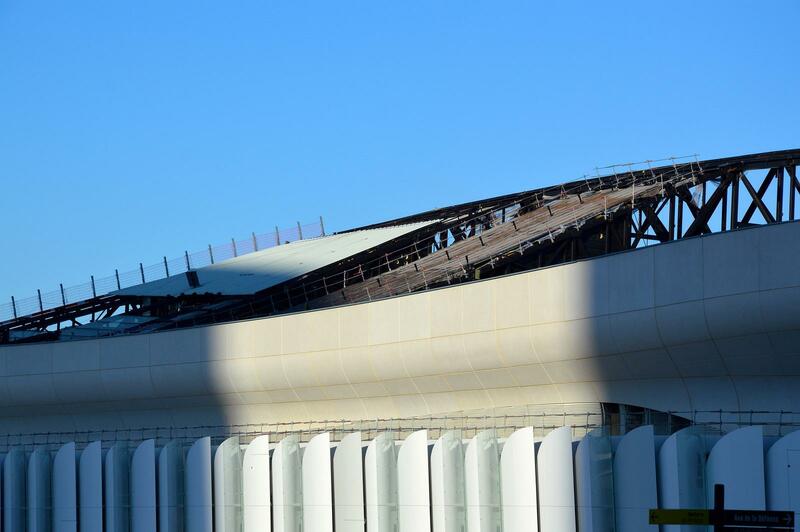 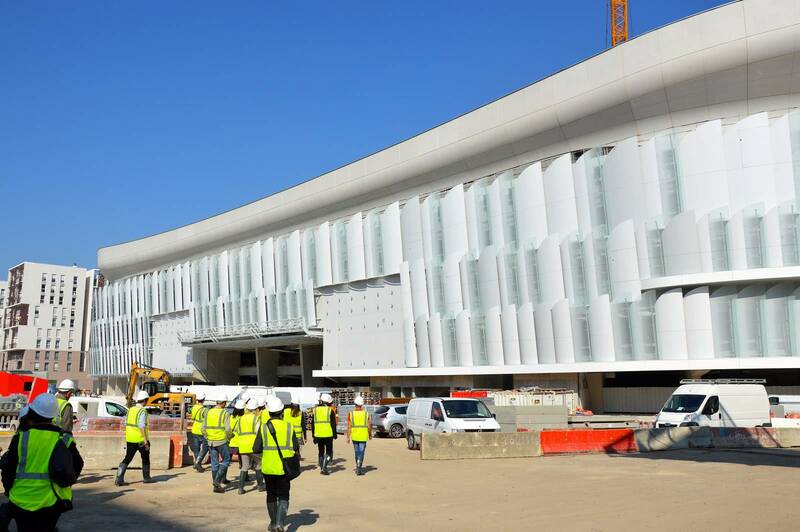 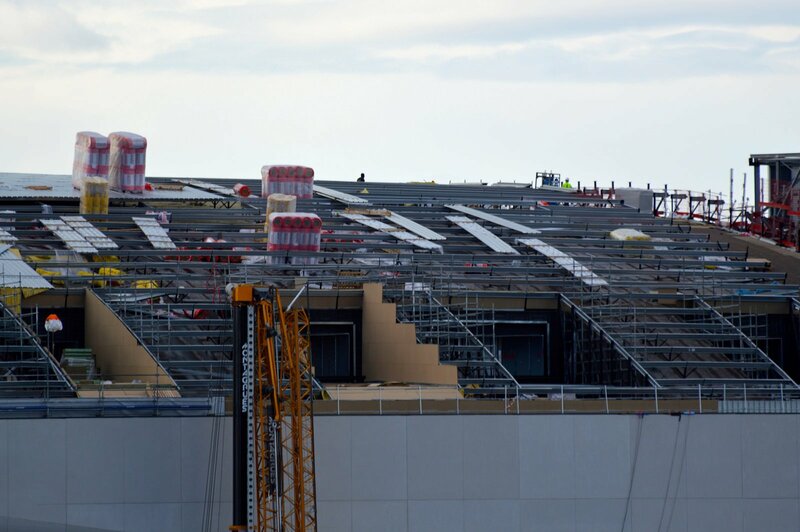 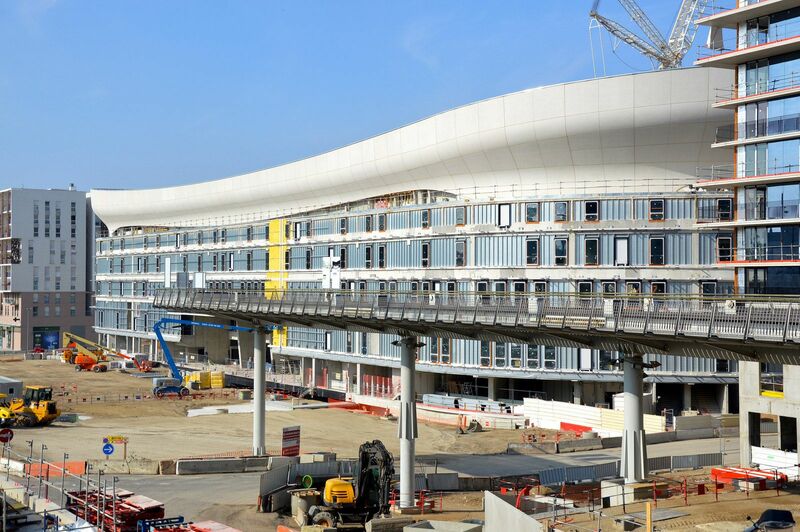 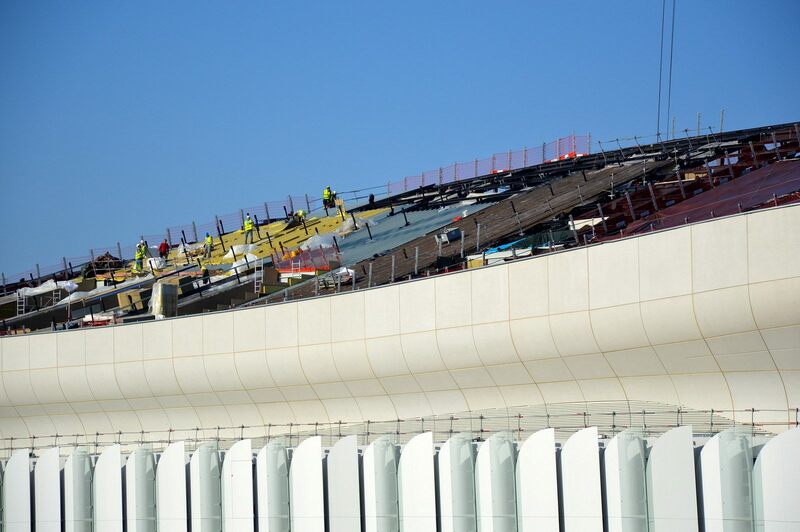 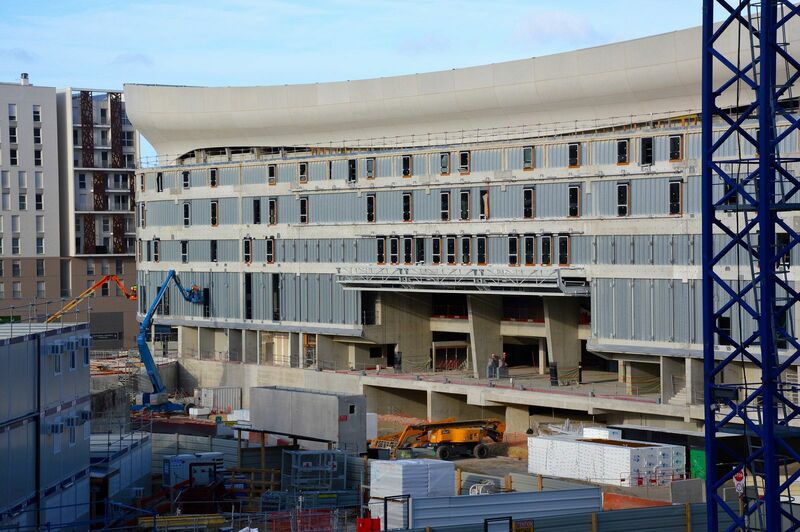 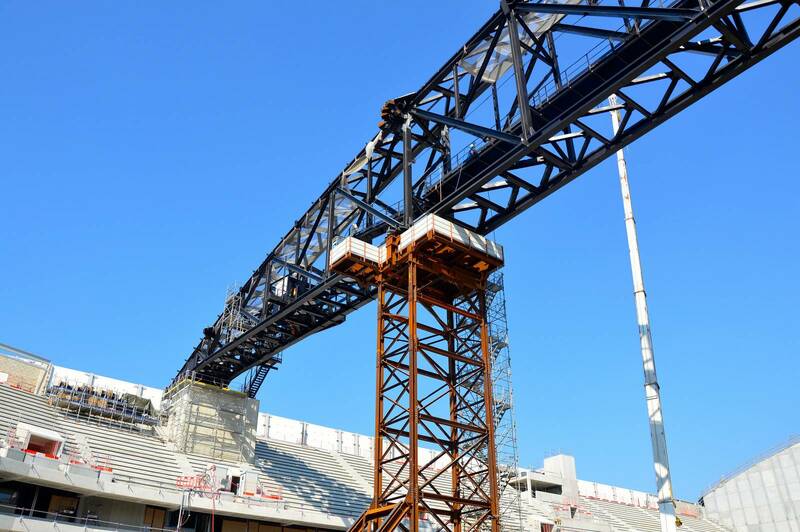 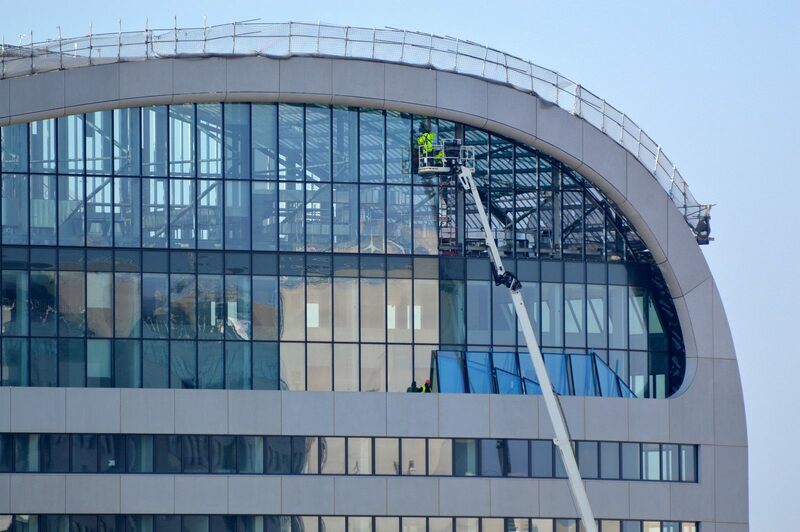 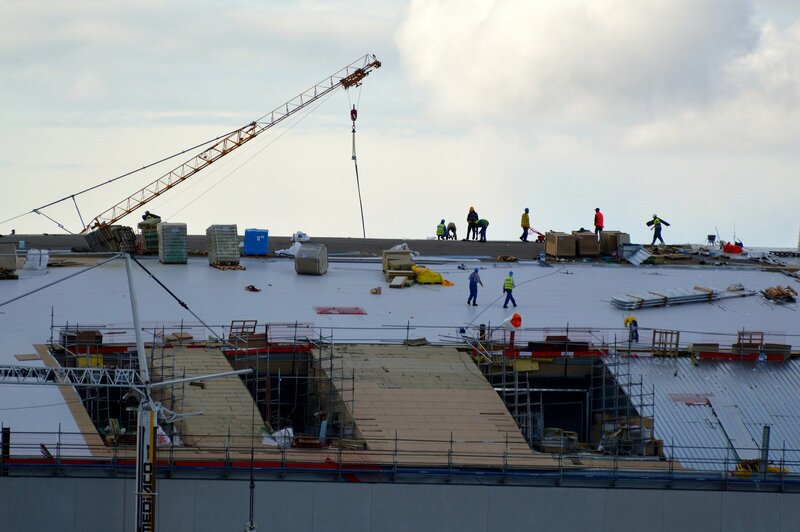 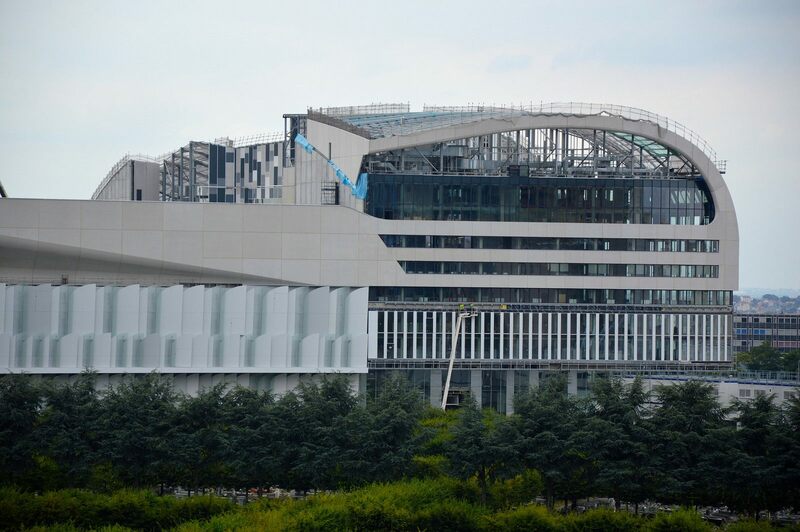 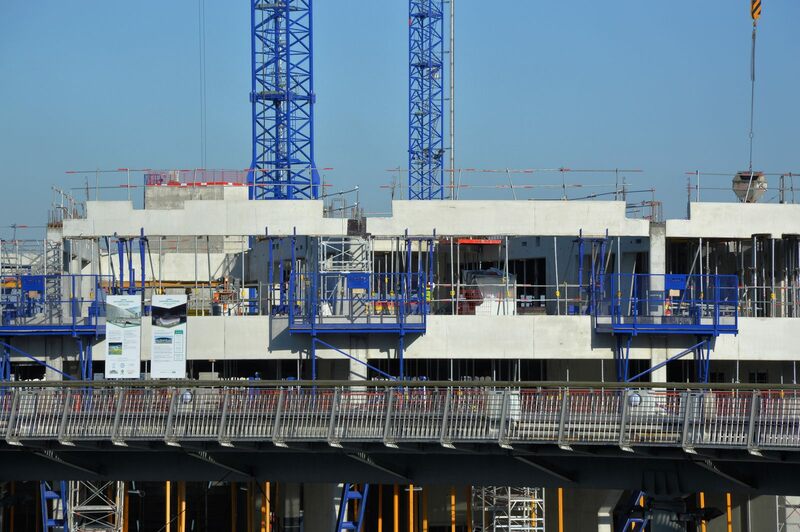 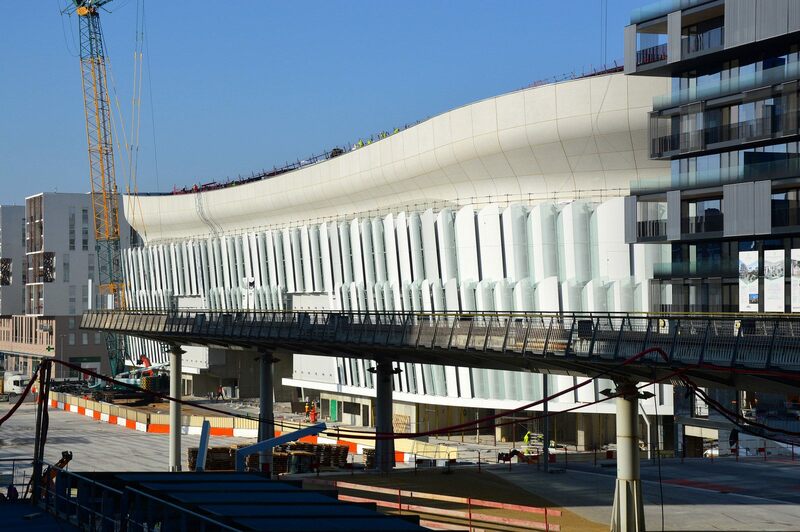 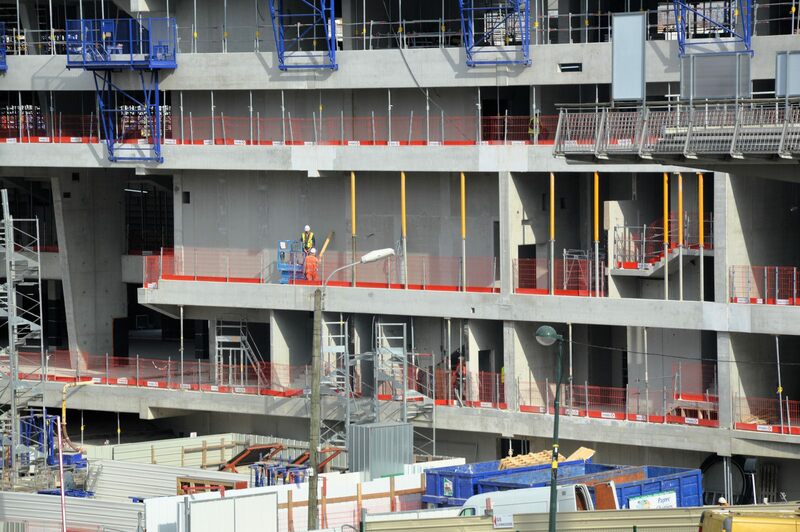 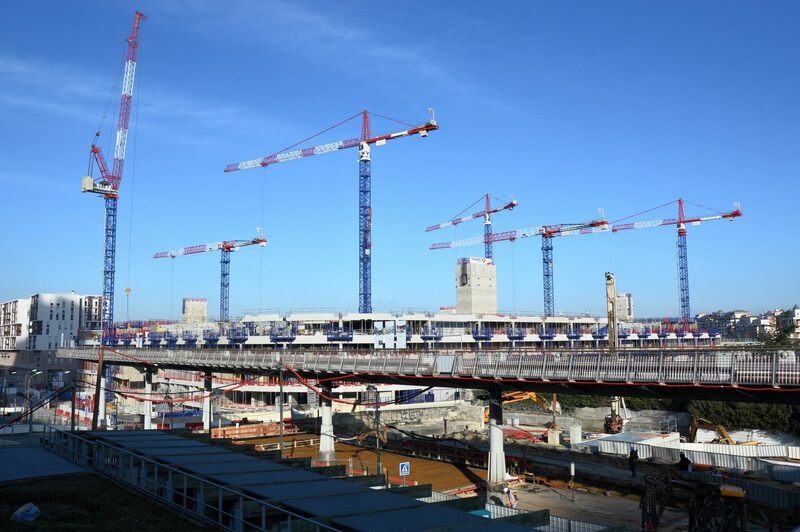 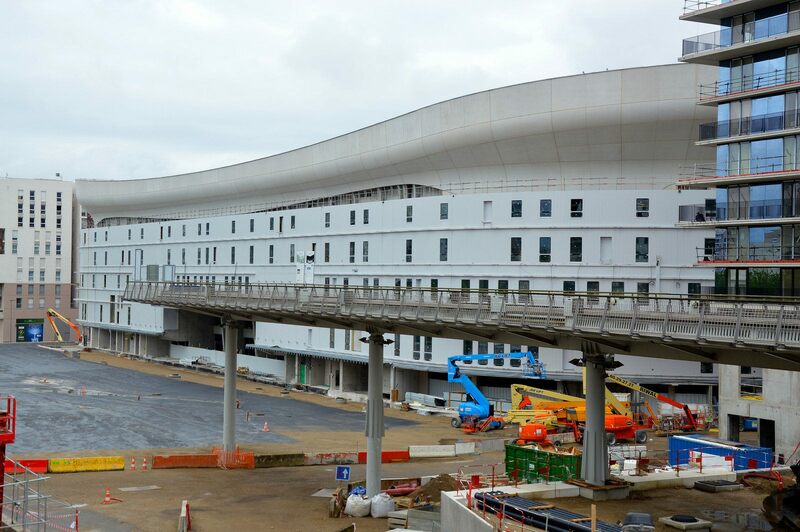 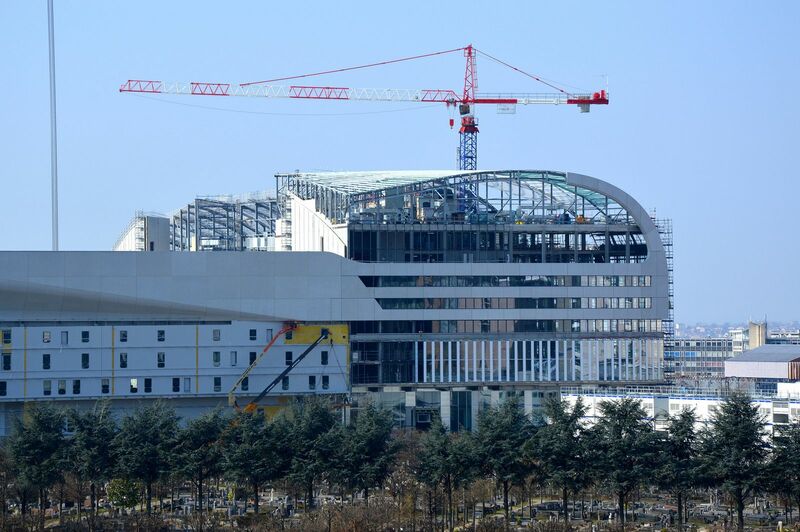 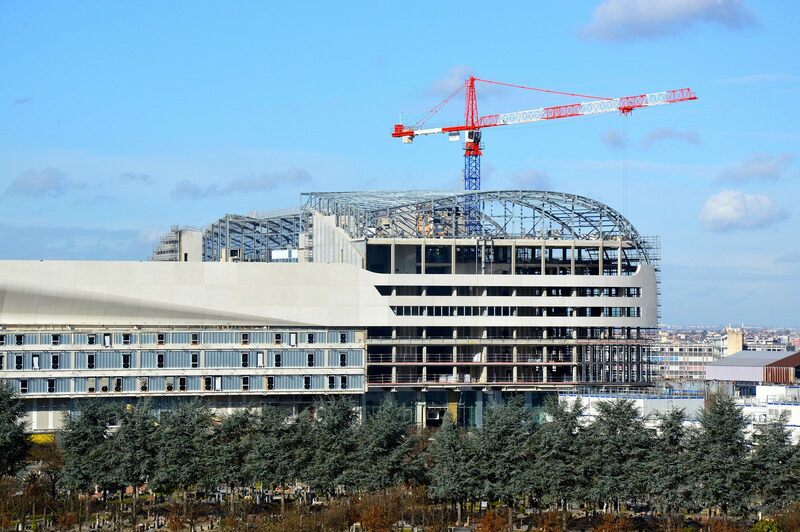 Though earlier estimates saw the cost at €320 million, eventual budget is thought to exceed €350 million. 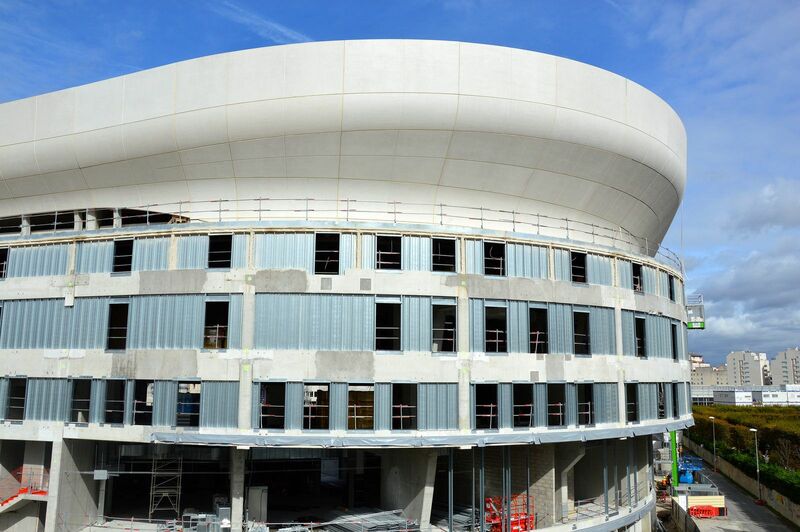 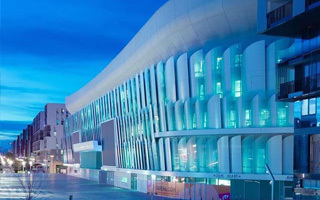 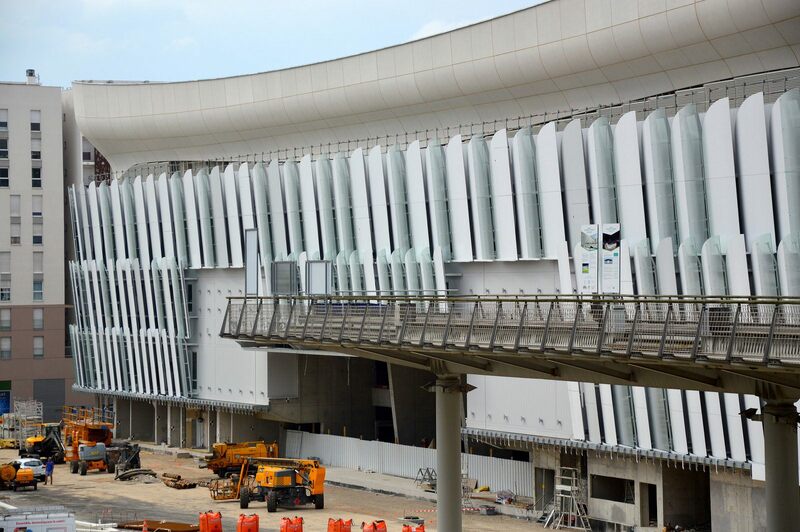 Extensive event infrastructure and possibly even up to 40,000 seats are included. 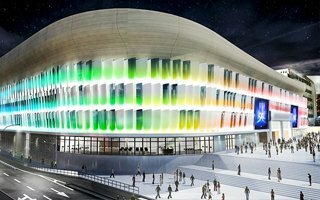 First concept also had a retractable roof planned, but that was dropped later, as local community feared noise pollution on event days.